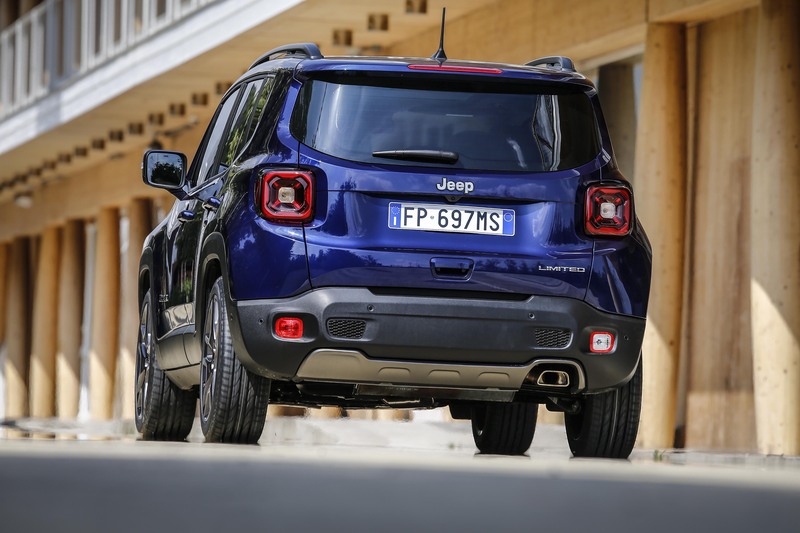 Jeep are flourishing as a brand, and a model that has helped the brand grow in Europe – and the UK – is the Renegade, and it’s just received its mid-life facelift. So what’s changed? 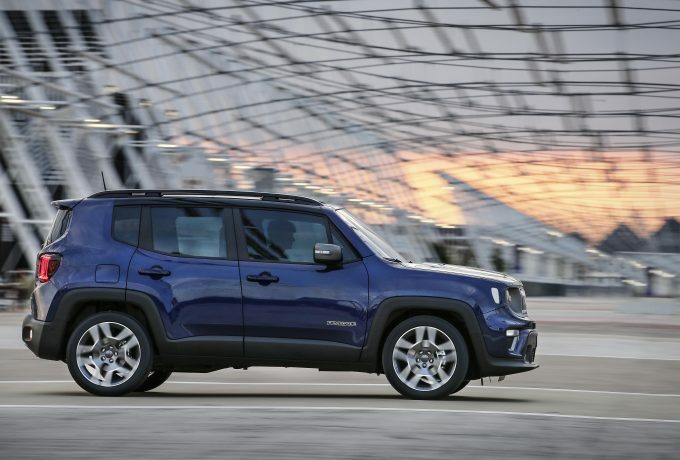 Firstly, the 2019MY Renegade looks fresh. The front end is updated and has taken inspiration from the new Wrangler. 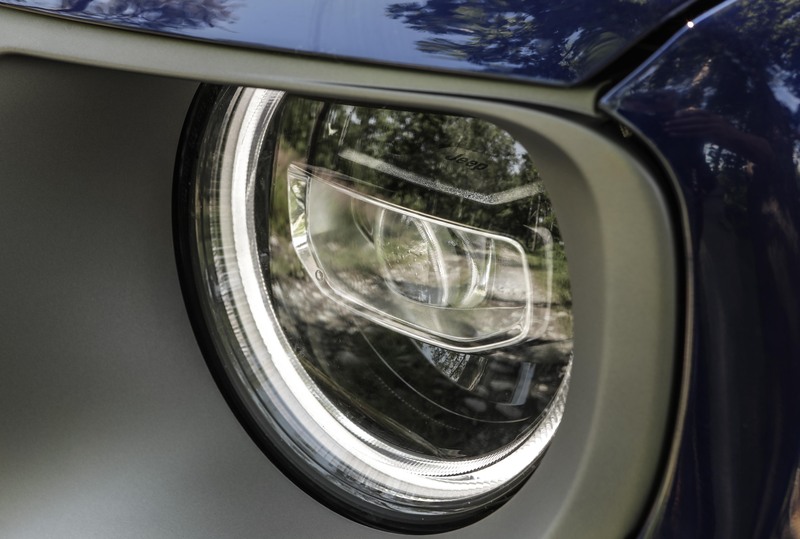 The stylish mimicry begins with circular lights either side of the trademark grille, featuring the same horizontal, rectangular LEDs found in the big brother. At the back there are more similarities, with the square tail lights echoing those on the JL Wrangler. 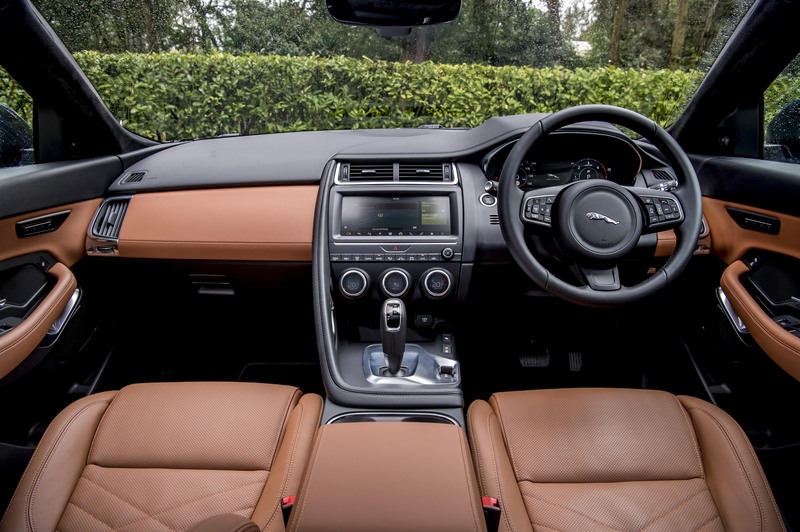 There’s plenty of space inside and the interior is smart – ours was black with grey leather inserts on the seats and dash – there isn’t a luxury feel, though. 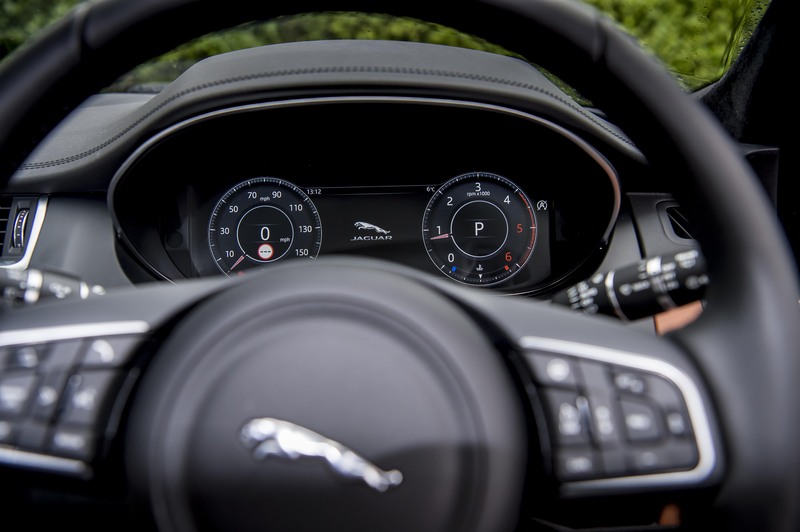 A touchscreen infotainment system dominates the dashboard, and at times the menus made simple functions overly complicated, but it is responsive and display quality is good. At one point, however, the system froze and became entirely unresponsive, before sorting itself out after an indiscriminate amount of time. But, this being an early model, we wouldn’t fuss over that. There is a cost to the eye-catching design, however, as the tall, square cabin is a victim of loud road noise on motorways and visibility is poor. The safety features and blind spot warning system is fine on faster roads, but driving in towns you’re reminded that it’s just better to not have a blind spot at all. It isn’t just the looks than have been updated, with three new petrol engines on offer. With new aluminium blocks, there is a 1.0-litre three-cylinder worth 120bhp, and a 1.3-litre unit with an extra cylinder available with 150 or 180bhp. On the diesel front the 1.6 and 2.0-litre MultiJet II units remain unchanged. We drove the 150bhp 1.3-litre four-cylinder, which comes with 4WD and a dual clutch six speed gearbox. It was sluggish off the line and this initially resulted in the right foot asking for more than it needed. However, it did highlight that the new engine actually has something to give and was fairly peppy and energetic when prodded, and at cruising speeds it was comfortable. Ride quality in the Renegade was surprisingly firm, with potholes and impurities on the road very noticeable and not entirely comfortable at times. There was plenty of safety tech too. 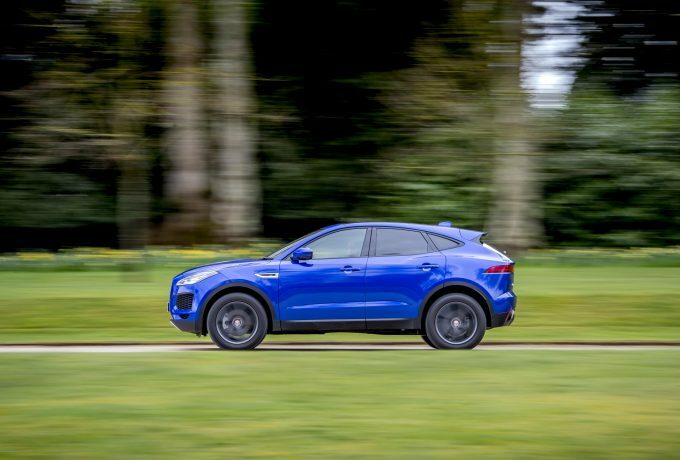 Alongside the blind spot indicator there’s lane departure warning, speed assist that reads traffic signs, forward collision warning with active emergency braking – all of which is standard on Limited models like the one we drove. We also nabbed a brief go in a TrailHawk version, and although it wasn’t a taxing off-road course there was no cause for concern. The ride was rather on the firm side, as in the Limited, but with the added off-road modes it remained surefooted up and down steep gravelly climbs and remained unfazed by the route. 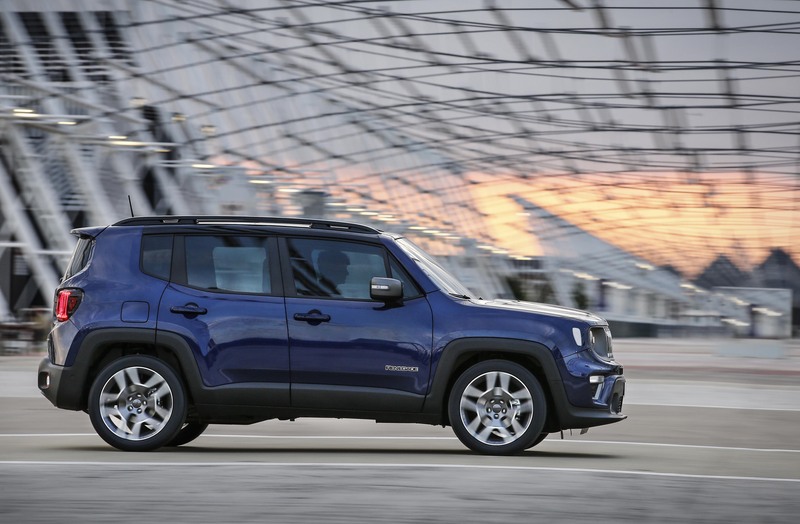 The Renegade is by no means the hardest off-road vehicle Jeep make. Nor is it a driver’s car. 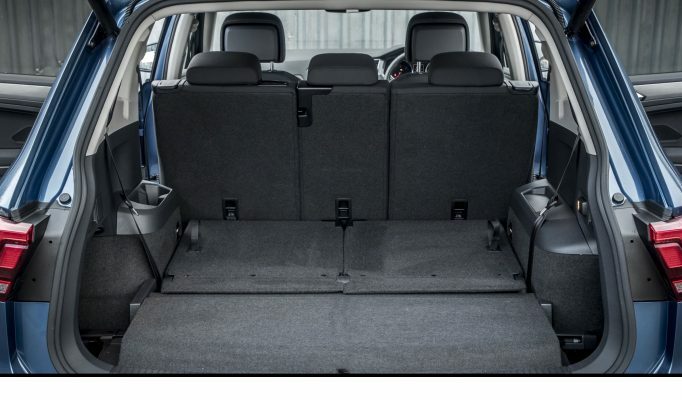 It’s a practical family vehicle that sits everyone in comfort and does a job. 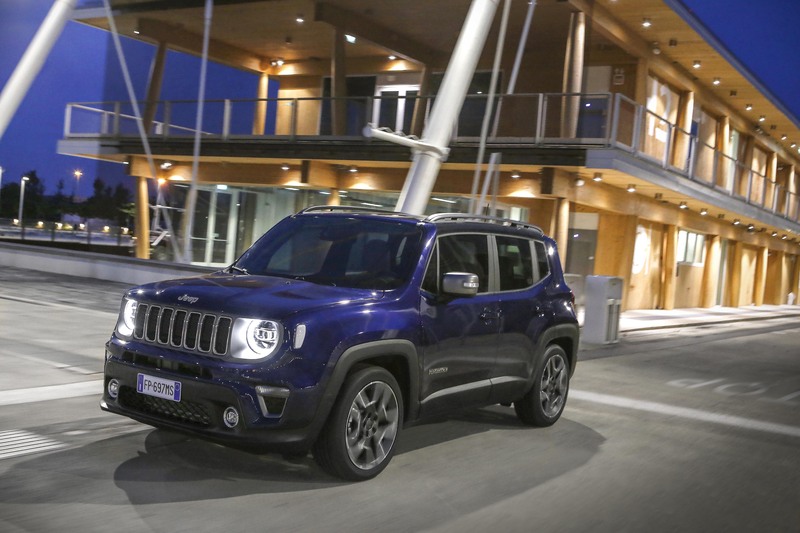 Put to use or not, Jeep’s off-road credibility means that the updated Renegade remains desirable as the rugged option is its class. Full specs as pricing are yet to be announced, but expect prices to start at about £25k when the refreshed Renegade goes on sale in the autumn. 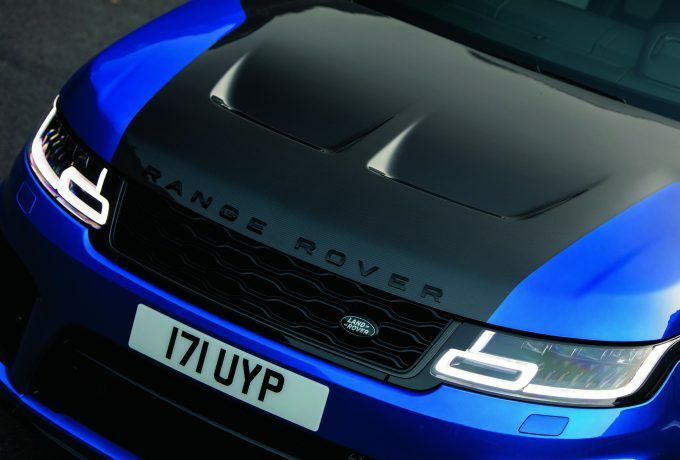 A Range Rover with a 2.0-litre petrol engine. Truly, we never thought we’d see the day. Last time Land Rover put such a small petrol unit in a proper-sized vehicle, it was the first-generation Discovery MPi. And just look how well that worked out. But there’s no cause for concern. The P400e is a million miles away from that bad old Disco. It’s petrol engine is part of a plug-in hybrid system – which dishes out a total of 404bhp and 472lbf.ft. The latter peaks from 1500rpm and most of it is there from standstill, electric motors being what they are, so the only resemblance between this vehicle and the wheezy, breathless MPi is a small, green, oval one. Well, there’s also the fact that it’s built to be masterful off-road, albeit thanks now to a cornucopia of electronic sensors rather than any reliance on basic engineering. That’s just an inevitable by-product of Land Rover’s march to where it is now, however, so there’s no point being rooted in the past – and anyway, there was no off-road part to the brief test drive we had in the vehicle, though a set of back roads rougher than many a green lane proved that even with 21” wheels to cope with, the Range Rover’s air suspension is capable of smoothing out pattery corrugations and crashy pot holes alike. But what we’re here for is to experience the effects of the hybrid powertrain. It has an EV mode, which allows you to glide around at low speeds with literally no mechanical noise to be heard, though the petrol engine does still kick in under enough load. In theory, you can do 31 miles on battery power, and with plug-in charging this means that under the right circumstances, you can get to and from school, work, Waitrose and so on without ever using a drop of petrol. 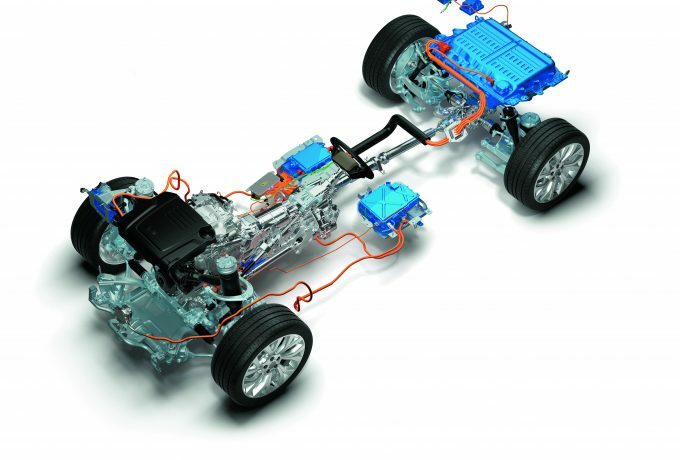 In the real world, where the electric motors simply assist the engine, the results are impressive to the point of being startling. You can build speed smoothly, quietly and with ridiculous ease – the engine doesn’t sound strained, and the electric side is impossible to detect in action. That’s not the case when you’re pulling out at T-junctions, however. 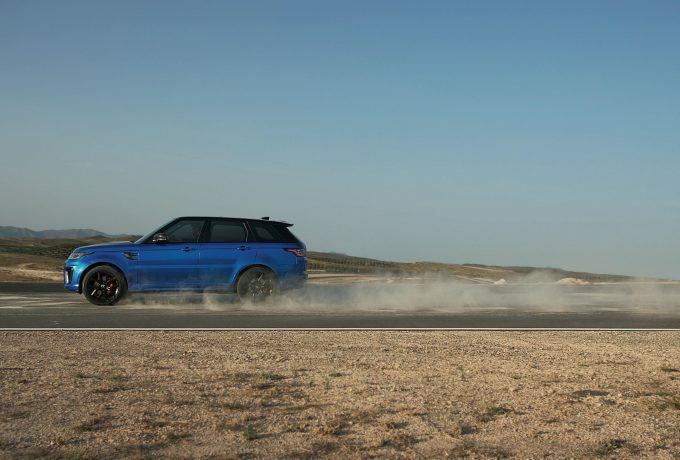 Twice on our brief drive, as we put out foot down the Range Rover eased out with an initial hesitancy followed by a sudden surge of torque that kicked out the back end and brought the traction control rampaging in to keep us from going into a spin. Definitely not a very Range Roverly state of affairs. Nonetheless, this is a sublime 4×4 whose smoothness and refinement are backed up by a claimed 101mpg. And at £95,500 as tested, it almost looks cheap by the standards of today’s luxury SUV market. 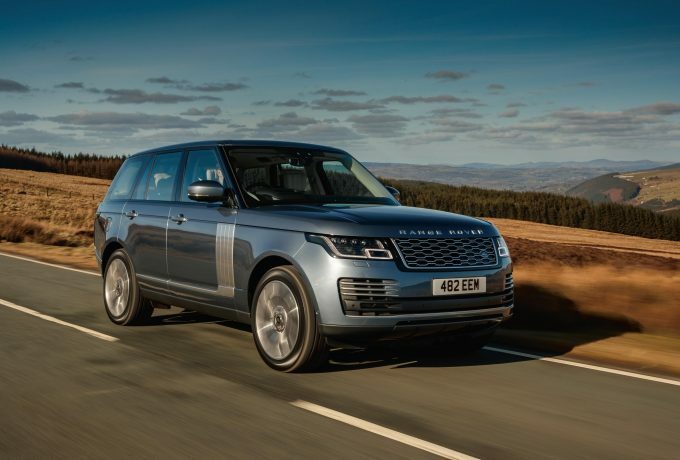 Turns out a 2.0-litre petrol engine was a welcome addition to the Range Rover range after all. 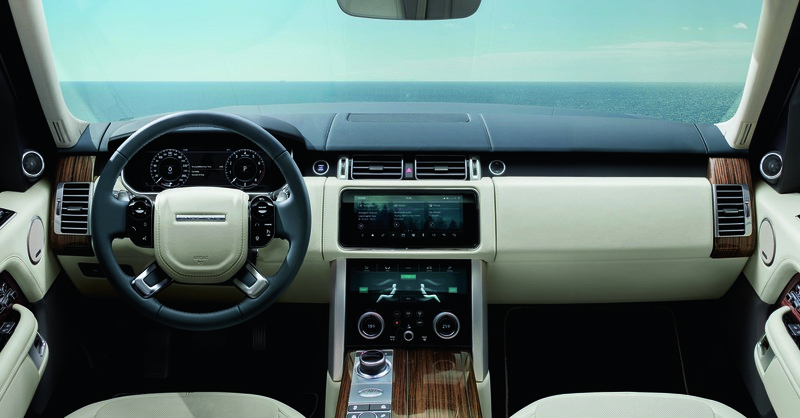 Refinement is a big part of what makes a Range Rover what it is. 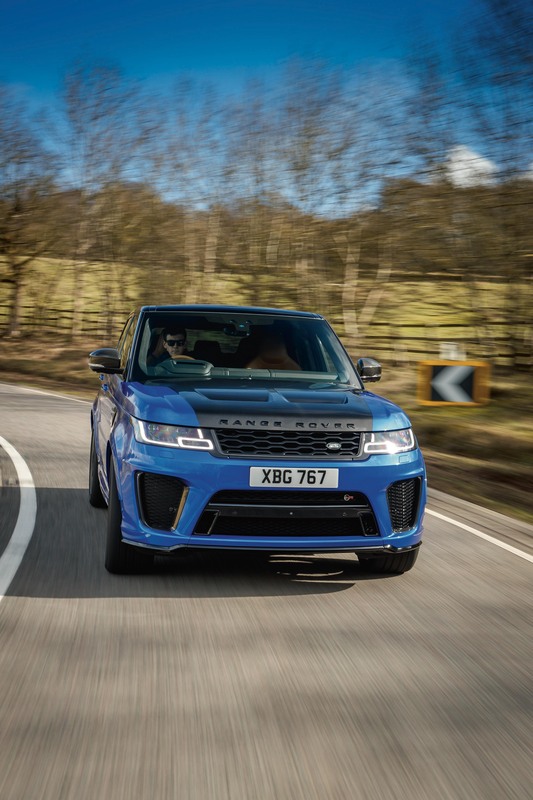 The Sport has always played up to that, but the SVR model has made a virtue of being, if not unrefined, then certainly unrestrained. It’s monstrous V8 shove and trademark boorish exhaust note leave you in no doubt as to the sort of people to whom it’s trying to appeal. 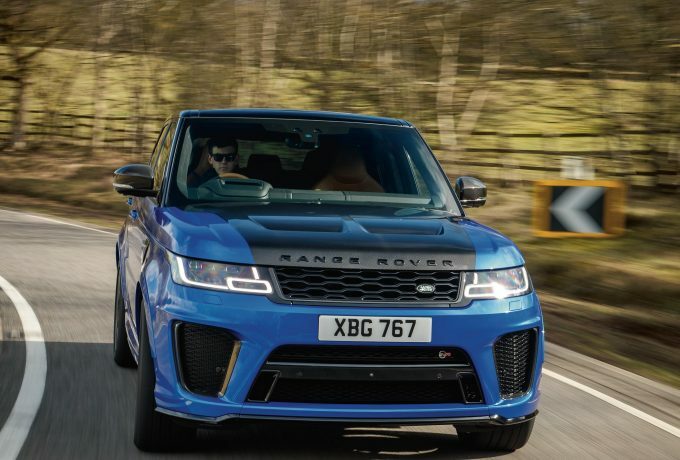 For the new year, the SVR gains yet more power, with 575bhp backed up by 516lbf.ft. Top speed is 176mph and it’ll leap from 0-60 in 4.3 seconds. 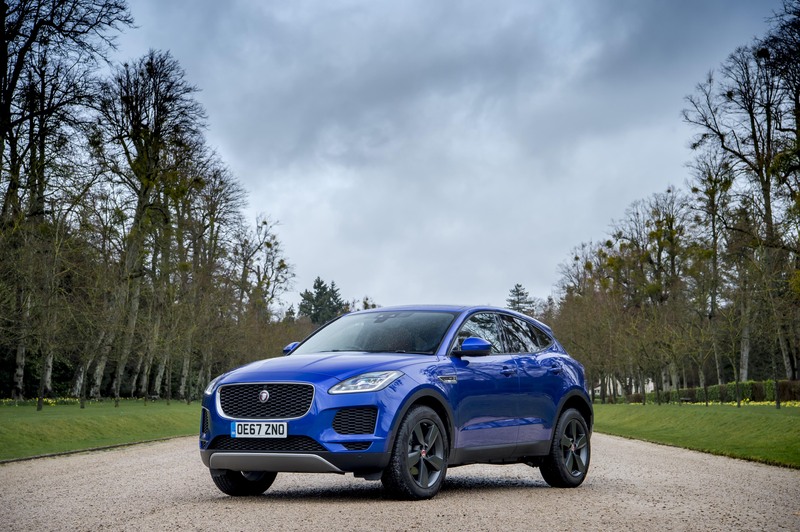 Yet it’s also more of a luxury SUV than ever – albeit a very showy one. 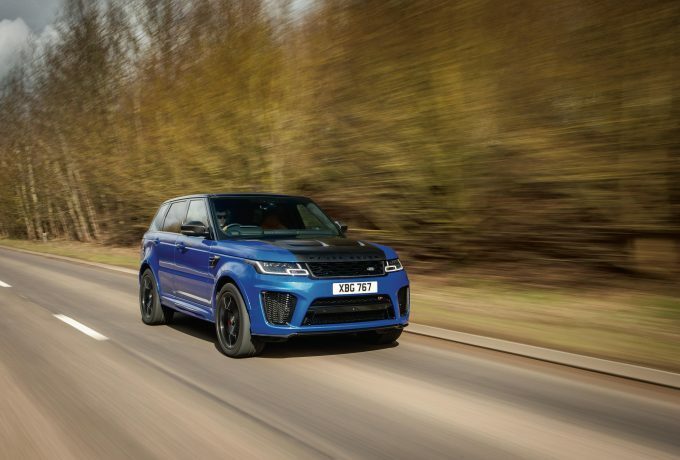 The vehicle we tested had 22” rims, special paint and loads of carbon fibre on top of its in-yer-face body kit, and of course if you don’t see it coming, with that thundering exhaust you’ll certainly hear it. Is it appreciably different to drive than last year’s model? No. It remains a big, loud handful whose willingness to erupt forward when provoked makes it endlessly entertaining but less than relaxing. Needless to say, it gathers pace more or less instantaneously, but on the way into corners it feels like you’re having to harness a large, tall, heavy weight. It doesn’t think much of big pot-holes, either. We’ll acknowledge here that we only had a short drive of the SVR, which barely gave us time to get used to it – which, we’re confident, we would on a longer session. However, immediately afterwards we drove the same route in a Bentley Bentayga V8 – which, by comparison, felt like a hot hatch. Perhaps that’s the difference another £35,000 makes – though at prices like these, that sort of money is probably irrelevant. 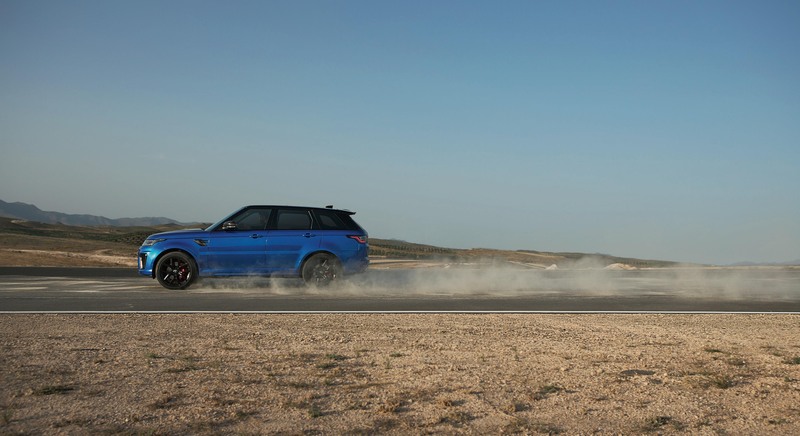 Either way, various racing drivers have demonstrated that the SVR is incredibly capable through corners. But to everyday punters like us, it’s a beguiling speed machine and look-at-me device rather than an easily accessible driving tool. 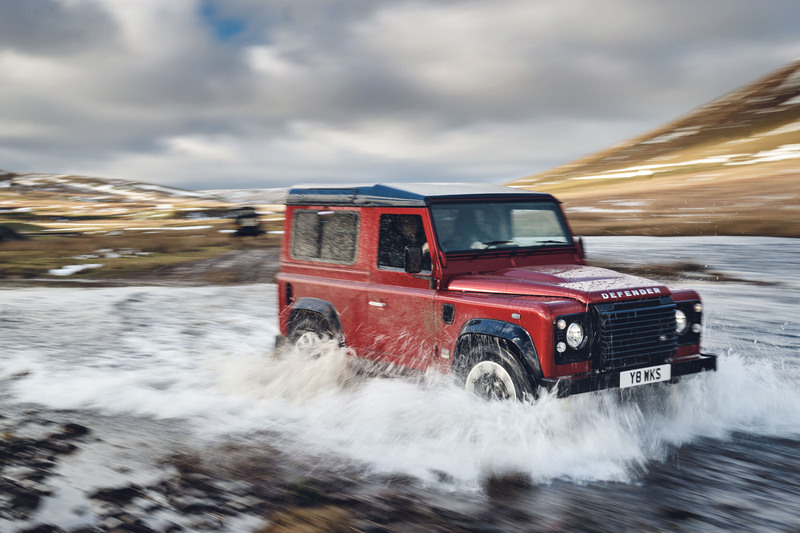 Back in January, Land Rover kicked off a special year for its company with news that the much-loved Defender was alive and well. Sort of. 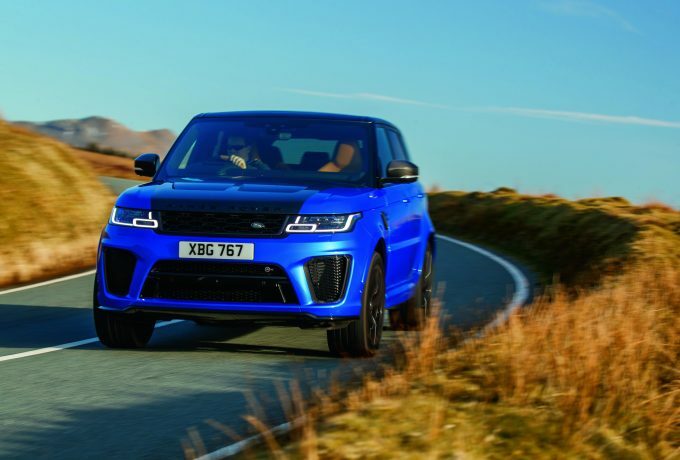 As part of the 70th anniversary celebrations, Land Rover decided it would be a good idea to ‘re-engineer’ a few Defenders by opening the bonnet, lobbing the Transit engine aside and squeezing the SVR’s thumping big heart under the hood instead – albeit without the supercharger. That makes for a 400bhp Defender, effectively, with Land Rover branding it the fastest and most powerful iteration they’ve ever made. Given that it can do 0-60mph in just 5.6 seconds, we’ve no reason to suggest otherwise. And if you’re feeling especially ballsy, it tops out at 106mph. I say ‘could’, because embarking on such an experience is likely to leave you with some form of scarring: physically, because your eardrums may disintegrate from the noise, and mentally, because it feels as safe as strapping a jet engine to a shopping trolley. 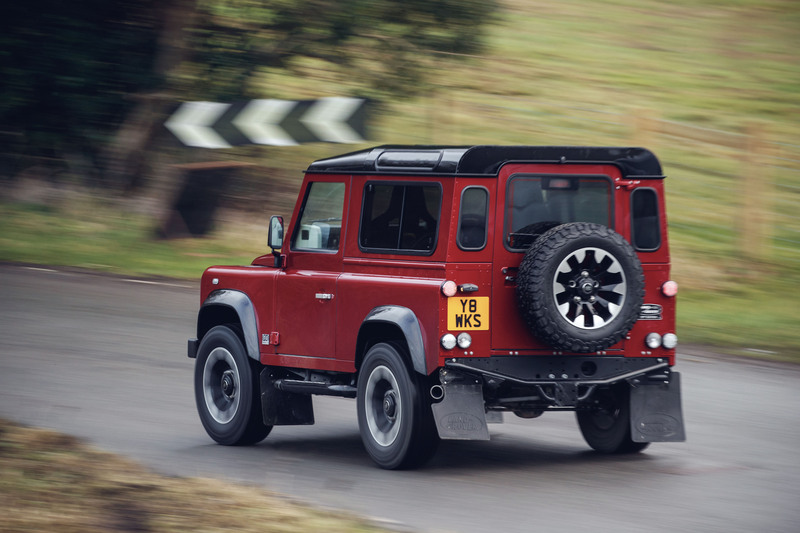 Alongside the newly-fitted V8 furnace, this re-worked Defender gains the popular eight-speed ZF automatic transmission and a raft of other enhancements, including better brakes and a handling kit of uprated dampers, springs and anti-roll bars. You may think that with this revised road-biased setup, that the Works V8 now prefers to find the racing line through a series of apexes rather than ruts – but don’t be fooled. Sure, they’ve given the Works V8 a handling kit, but that’s like fitting a handling kit to a Boeing 747. 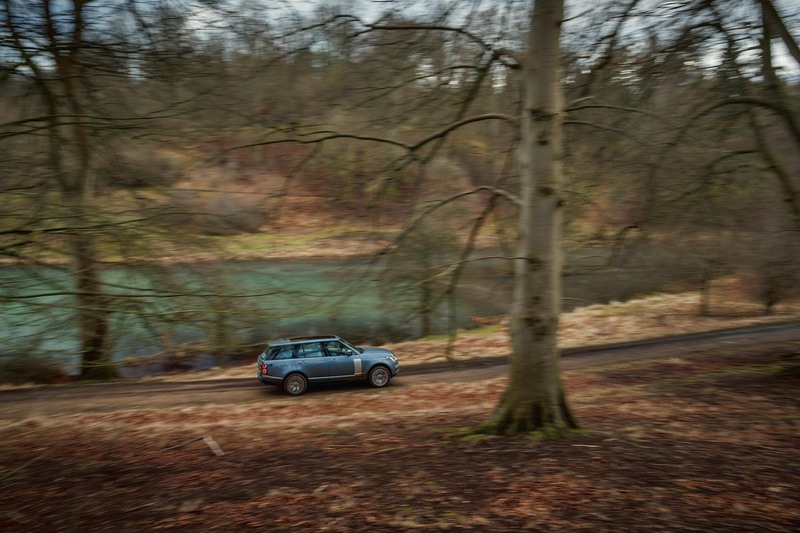 When you plant your foot into the throttle, there’s a significant pause while the Defender reluctantly calls the ZF ‘box into action. A gear is eventually selected and then your ears become victimised by an onslaught of thunder, whilst the cabin seems to tremble in a manner akin to that of a launching space shuttle. And after you’ve hurtled down the road and you’ve become aware of the fast-approaching bend, your thoughts quickly turn to the shedding of speed and the fact the brakes aren’t doing as much of it as you’d like. Then you’ve got the corner itself. It’s like trying to thread the Defender through the eye of needle, only you seem to have all the precision of a half-canned Jackson Pollock. It really is quite a spectacular mode of travel. 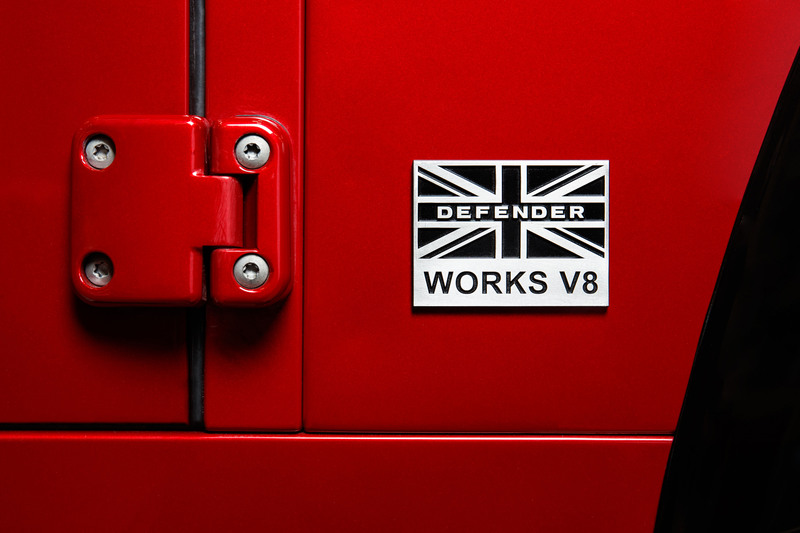 With the Works V8 Defender, even though it has all the subtlety of a burning hammer, it’s a machine that is capable of stirring the emotions. 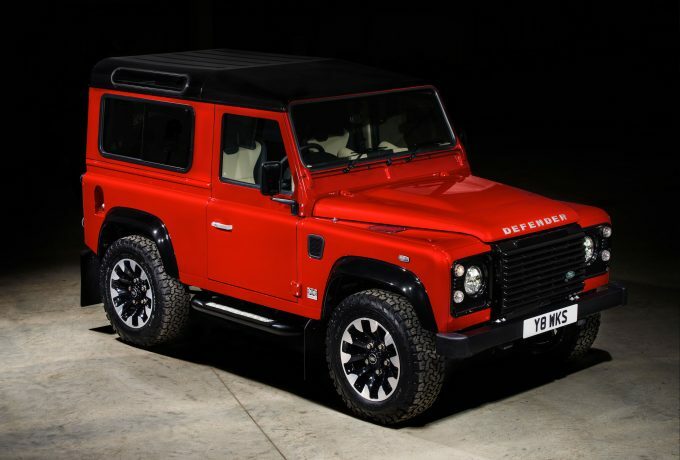 Any Defender, whether it be this £150,000 collector’s item or a knackered Tdi from the nineties with several hundred thousand miles on the clock, every one of them has that ability to get under your skin. This one has a stubbornness that makes it endearing and while it has the road manners of a JCB in a tracksuit, you can’t avoid getting sucked into the theatre of it all, even if the performance isn’t what you were expecting. 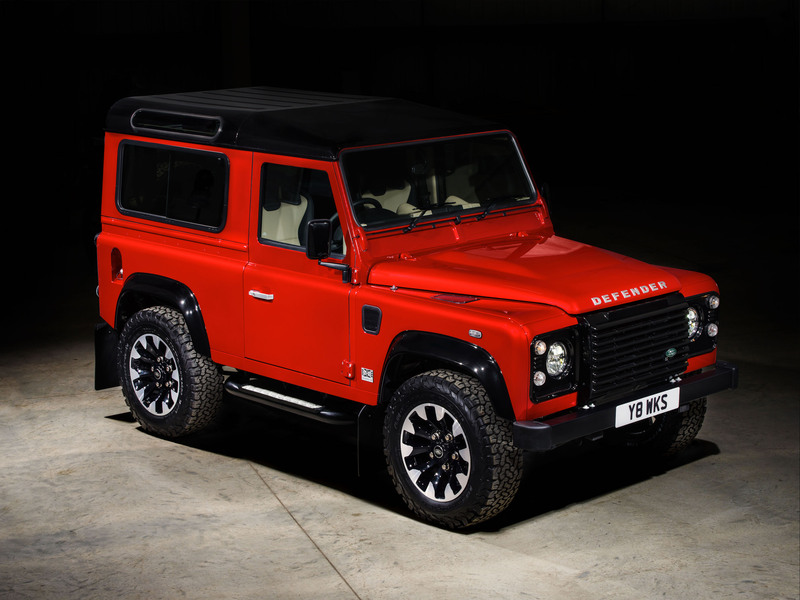 Sadly, only 150 people will get the ticket to own one of these special Defenders. They are, chiefly, for collectors – a select few who have the funds to buy up toys, even if it means they will rarely ever come out of their boxes. It’s a wonderful thing, the Works V8, and a fitting limited edition to mark a special year for Land Rover. It’s just a shame that so few eyes will ever get to see them in the flesh. And so few of these Defenders will ever have flesh grappling their steering wheels in anger. 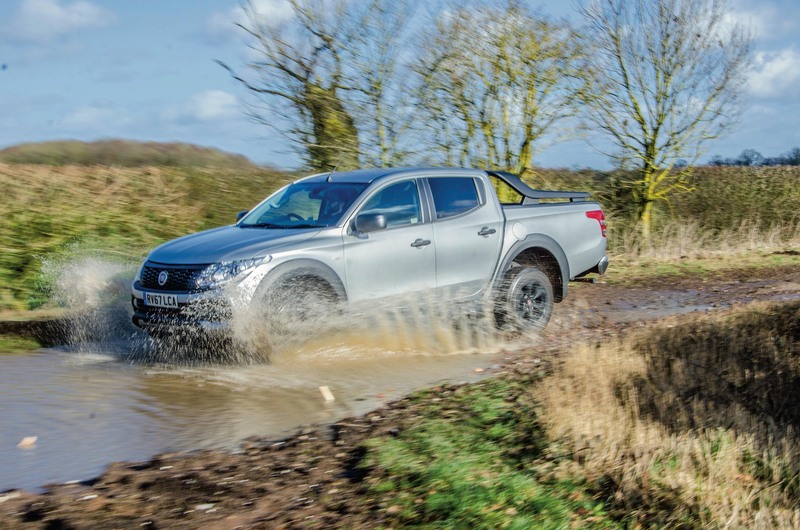 Fiat raised an eyebrow or two in the pick-up world when it decided to launch a badge-engineered version of the Mitsubishi L200. The Fullback could be described as a me-too model – or, more sensibly, as an expedient way of allowing fleet customers to address all their light commercial vehicle needs in one deal. Either way, though, the new Fullback Cross is more than just someone else’s truck with a Fiat badge on it. 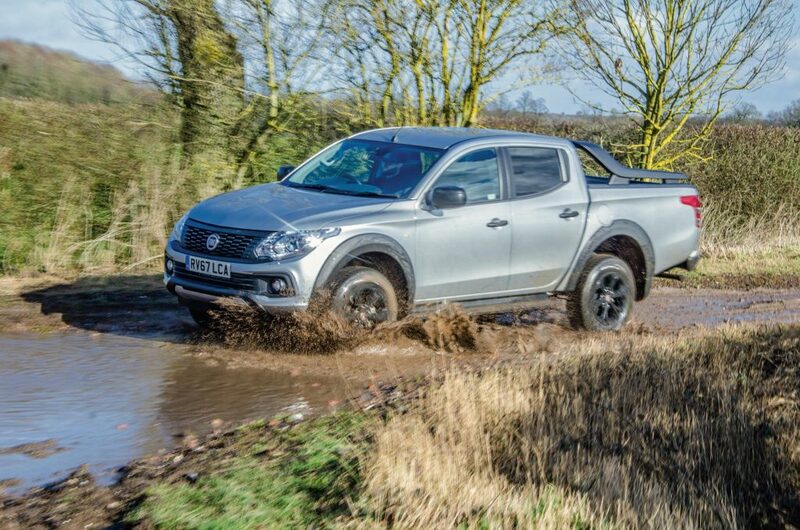 Sitting at the top of the Fullback range, the Cross model is based on the already well-equipped LX, meaning it has full-tim four-wheel drive and a 180bhp version of the now-familiar 2.4-litre turbo-diesel engine. What it also has is a locking rear differential. 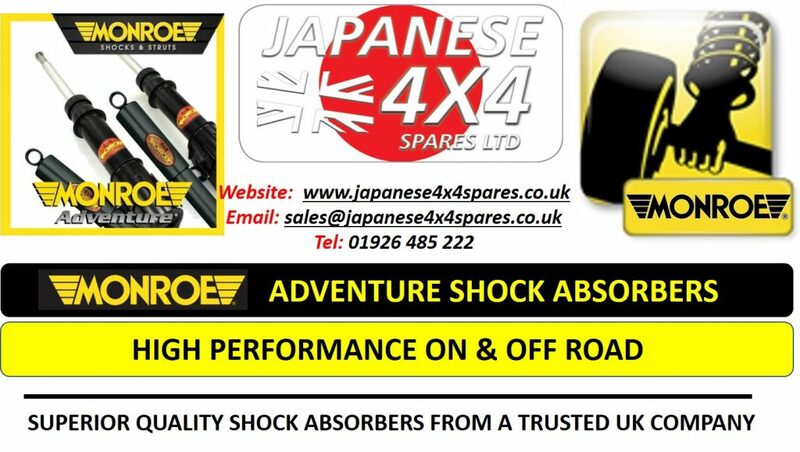 Typically these make all the difference to a pick-up’s performance off-road. By nature they’re light at the tail, and lift wheels very easily – especially when unladen, and being able to lock the rear diff to prevent drive being lost this way is an important weapon in the driver’s arsenal. 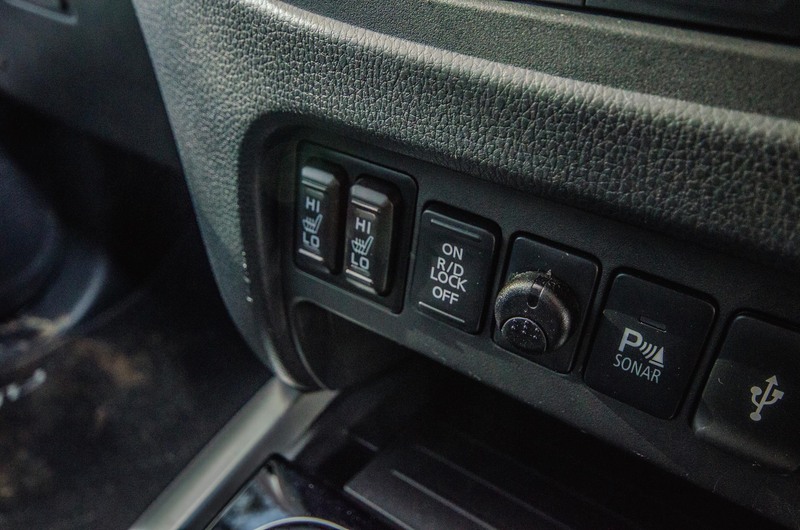 Many manufacturers use traction control as an alternative to this – some systems work better than others, but in our experience none at all as are effective as the traditional tech. 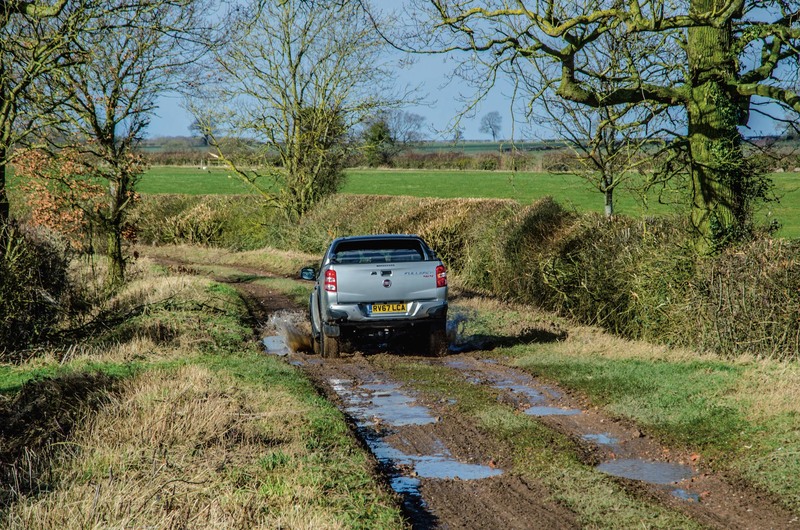 The L200 is available with a locking rear diff – but only with part-time four-wheel drive. 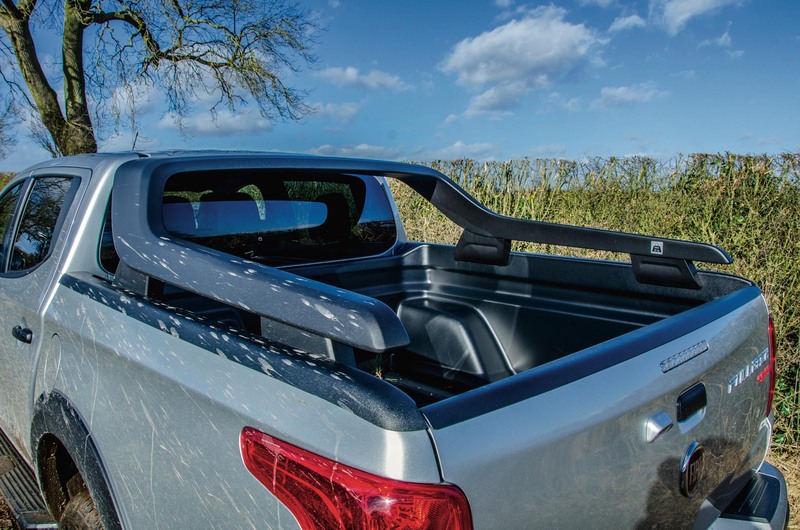 Higher-spec models gain the full-time system that’s also used on the Fullback Cross – but lose the locker. 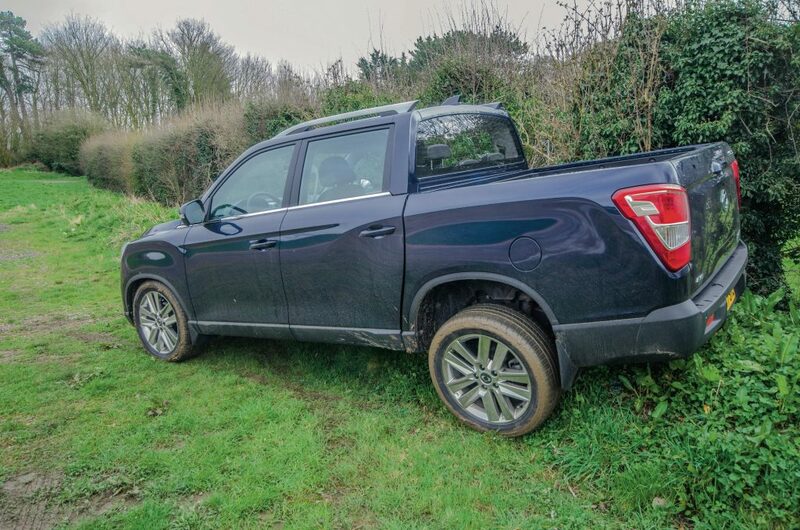 This was frustrating when Mitsubishi first launched the full-time system in 2005, so it feels rather as if this new Fullback is a case of Fiat making the L200 into the vehicle we’ve always wished it would be. 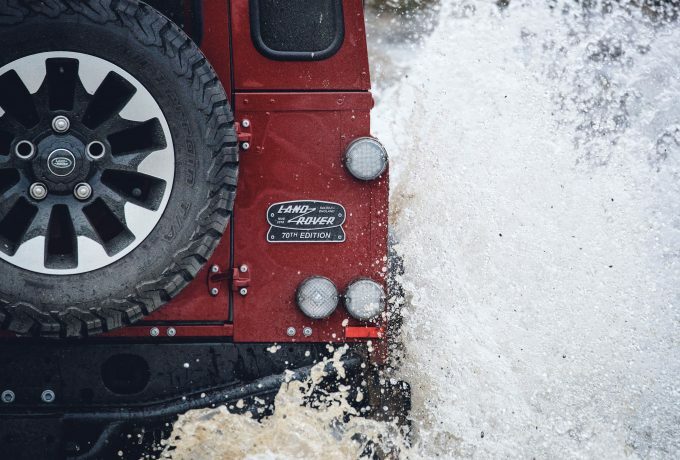 To go with the off-road potential this offers, the Cross is lightly ruggedized, if that’s not a contradiction in terms. It gains toughened wheelarches and side steps with a matt black finish, as well as a satin-effect skid plate, and its 245/65R17 tyres are wrapped around black alloys. If prepping vehicles for off-road work is your thing, you’ll immediately write all this off as mere styling, all of which would be unbolted and replaced with proper heavy-duty stuff from the aftermarket the moment you got your hands on it. That would be rather a harsh verdict, all the same, as Fiat is honest about the Cross being pitched as an eye-catching lifestyle truck fit for work and play alike, but there is indeed an element of show-not-go to its spec. In particular, the design of the six-spoke alloys means their faces are close to being flush with the tyres’ sidewall, which is a recipe for scratches when you’re churning your way through ruts. 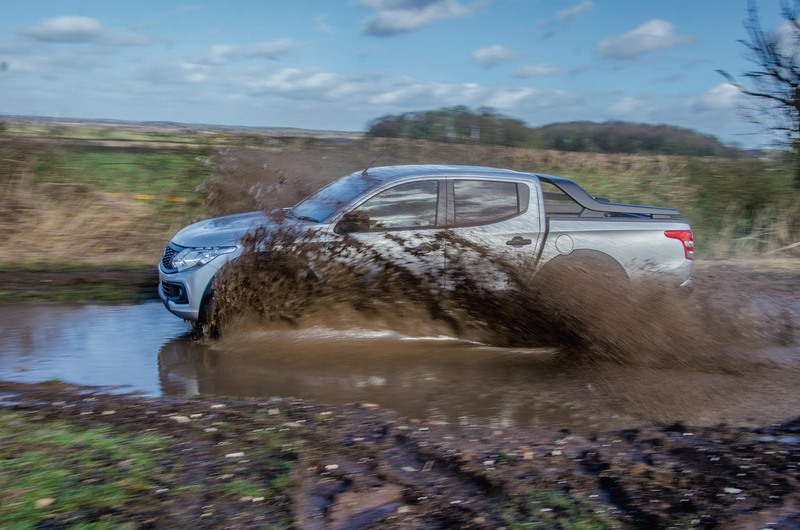 Nonetheless, the Fullback Cross proves very competent off-road. 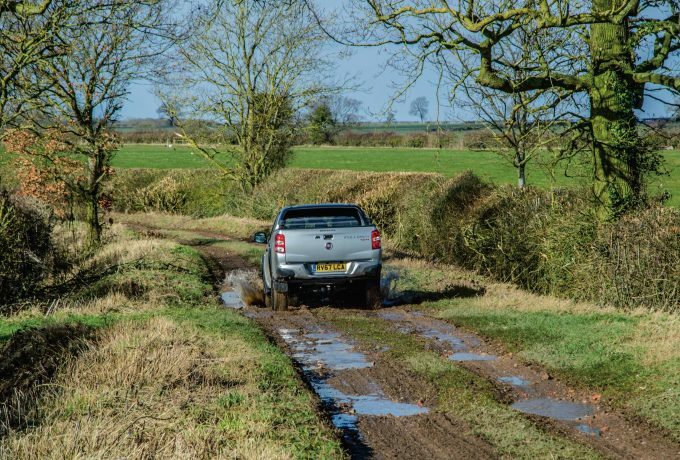 Even on standard tyres, it deals well with the wet, sloppy conditions many will encounter frequently in day-to-day working life, following the ground confidently without any sign of wanting to go sideways. With 317lbf.ft, there’s plenty of torque for slugging away through mud or heaving itself up hills, though with this version of the engine you pay for the higher output by needing to rev it to 2500rpm before it’ll give you all it’s got – but despite this, it’ll scale very decent climbs at little more than tickover, and the gearing in the six-speed manual box never feels high. You’d need more aggressive tyres for the diff-lock to make an appreciable difference in muddy conditions. However, at a crawl over uneven terrain, it comes into its own. 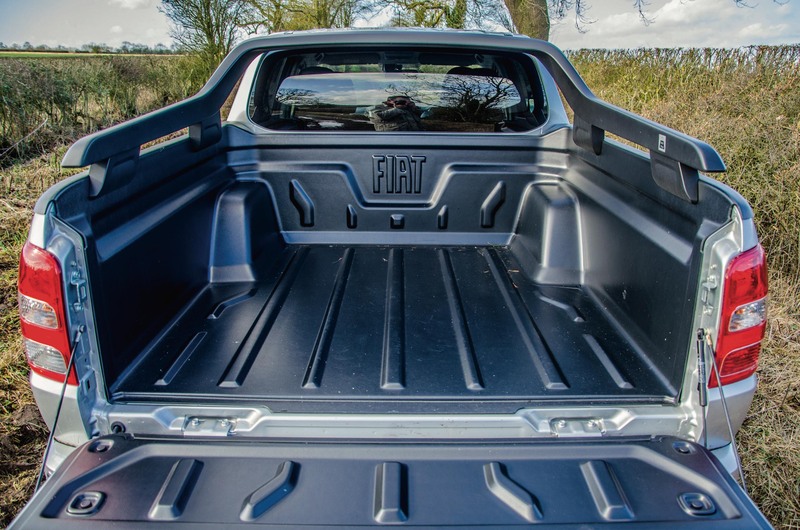 The ground does need to be very rough – much more so than most owners will attempt to tackle in their expensive new trucks – but where two wheels lighten up at once, the locker allows you to keep on taking it gently rather than using extra speed to get through. 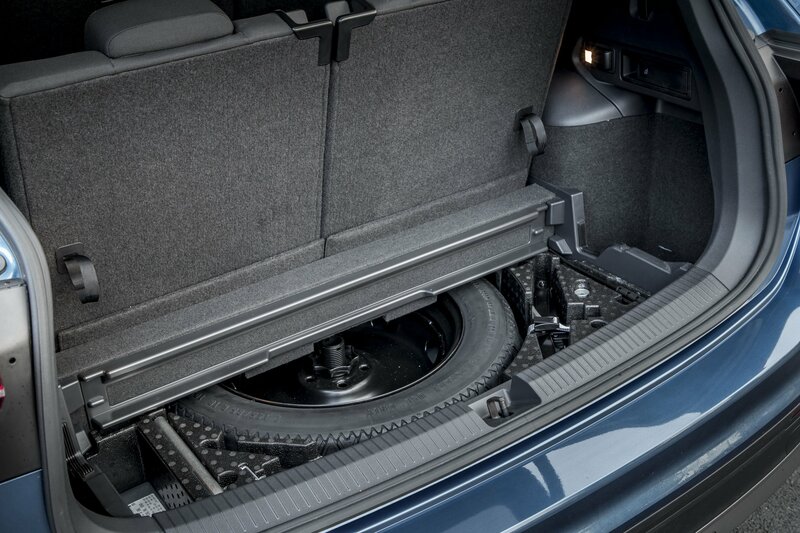 And that’s good for the vehicle, its passengers, its load and the ground beneath it. On the road, the Fullback is a fine performer, with a smooth, quiet ride on the motorway which makes it very agreeable indeed. 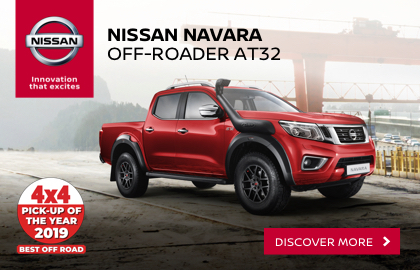 The engine hauls it up to speed without any problem at all and feels as if it has plenty more to give, even when you’re keeping up with the traffic in the fast lane, and with the cruise control set it’ll rumble along all day without skipping a beat. 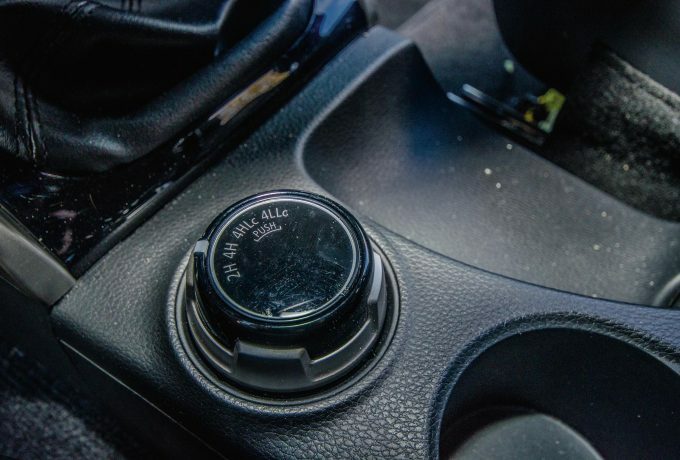 You don’t need to fidget with the steering to keep it in its lane, either. On A and B-roads, the steering is engaging, with plenty of feel and response as you chuck it into corners. Of course, there’s body roll, but it’s well controlled and doesn’t prevent you from enjoying yourself. 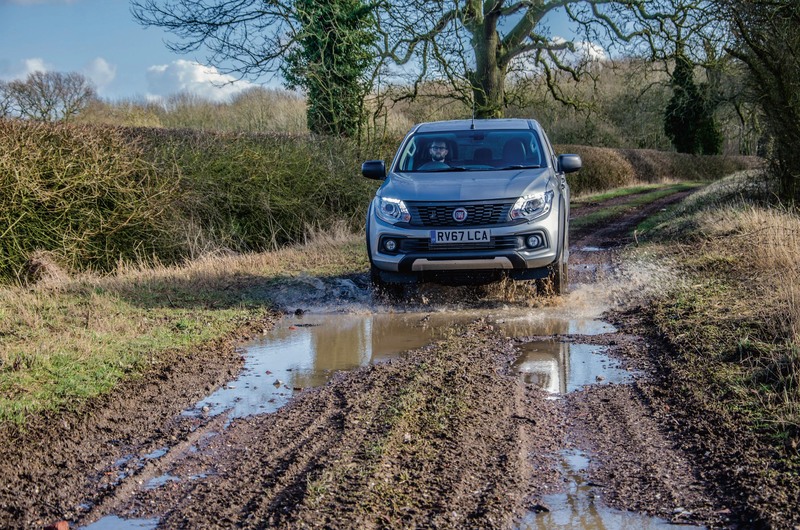 As always with off-road vehicles, the trick is to drive with its foibles, not against them – accept it for what it is, and it’s a big, cheerful bundle of laughs. Ride-wise, poorer road surfaces do set up a bit of fuss at the back, at least when there’s not a load of pea shingle in there to damp it down. But even when running unladen you can clobber it into an alloy-trasher of a pot-hole without feeling like the world’s coming to an end. 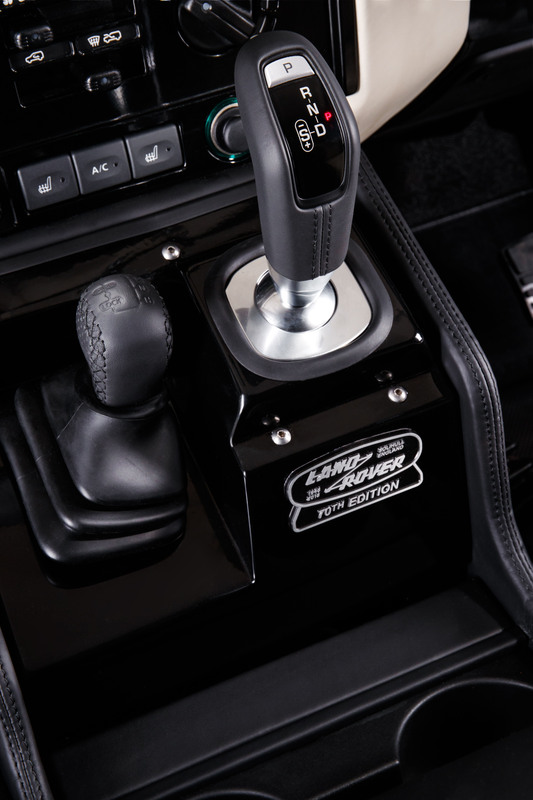 Refinement is perfectly good by general pick-up standards, though the gearchange from the six-speed manual box is a bit mechanical. Last time we drove a Fullback, we noted that the clutch had an oddly high biting point. No such trouble this time, however – it’s as easy to drive as you want it to be, with the option of full-time four-wheel drive adding an extra element of stability in wet conditions – and one which no other pick-up currently offers in combination with a rear locker. Something else we grumbled about last time we drove a Fullback was its multimedia system, which defeated our every attempt to pair it with an iPhone and struggled to hold on to a DAB signal. This time, again no problem. We’d still like to know who it was that decided digital radio had to be so complicated to operate, but the sound and reception in the Cross were just fine – and having plugged our iPhone in to the USB port, it registered within seconds. Elsewhere inside there’s heated leather seats and so on giving you the full luxury treatment. The leather feels tough rather than sumptuous – as always, we’d sooner see good fabric than so-so hide – but the seats are perfectly supportive and despite no adjustable lumbar support are comfortable over longer distances. 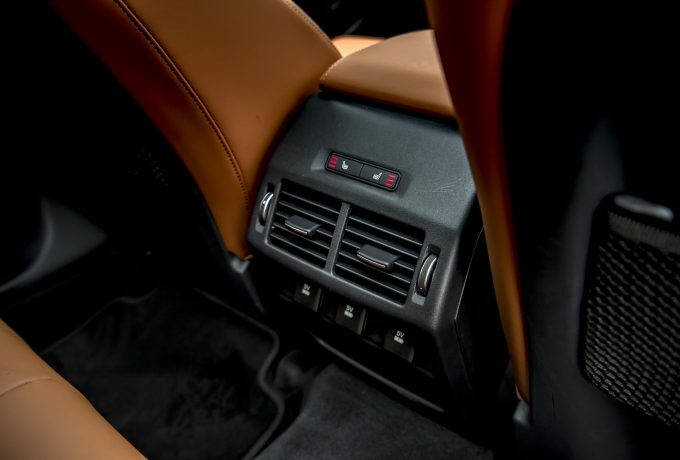 Similarly, the dash and floor console, though they’re finished in a hard plastic that is scratchy, are extremely well made – there’s almost no creaking from any part of them. 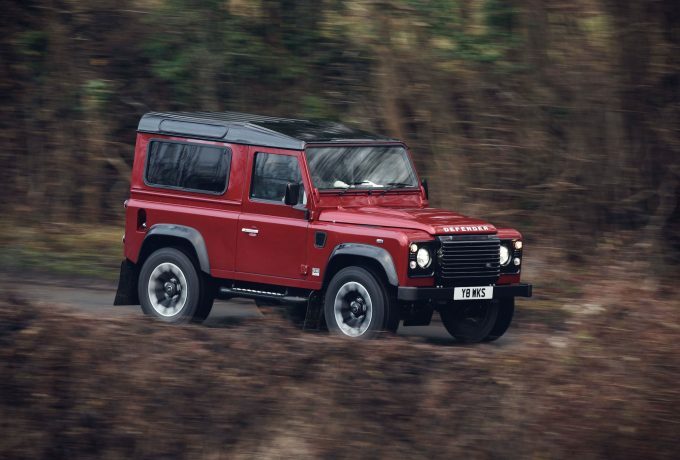 It’s tough and rugged rather than luxurious, but all the top-spec kit does add something. 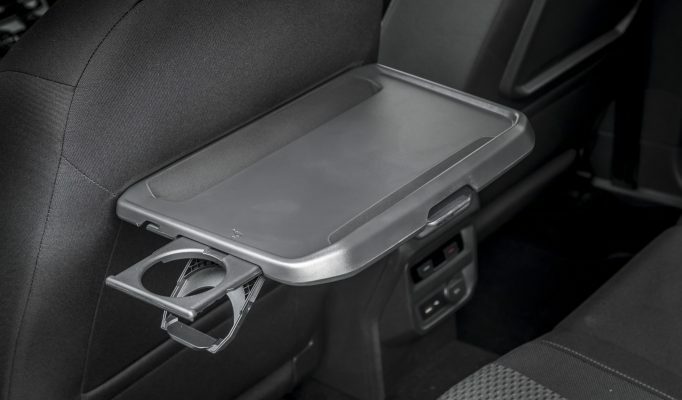 It can’t work magic on the amount of space in the back, of course, but so long as you’re not carrying tall adults or bulky car seats, there’s enough space there to get by. One other complaint we’d have relates to the pick-up bed. This is dominated by a model-unique textured sports bar, which looks cool and, we found, is capable of protecting the cab roof if you’re carrying very long items, but the bed itself is protected by a liner which, tough though it may be, offers nowhere to lash down your load. We had to run ratchet straps around the sports bar itself, which we’re pretty sure is not the idea. The Fullback Cross isn’t unique in having full-time four-wheel drive, nor in having a rear diff-lock. But no other truck currently offers both in tandem, which gives it genuine off-road potential. 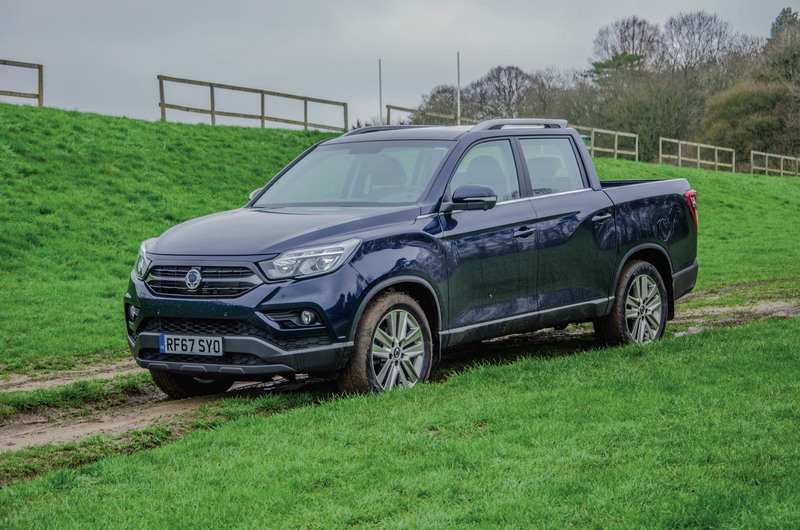 It’s a good all-rounder, clearly the best option in the Fullback range, and its styling accessories certainly stand out – though in places we’d like to see a little more practicality to go with the eyeball-pleasing design. Not so long ago, we lived in a much simpler time. A phone was a phone, and an SUV was… an SUV. These days, companies aren’t satisfied with just producing something fit for one purpose. And with that, I give you the new Jaguar E-Pace – the ‘compact performance SUV with sports car looks’. So, what about those looks then? Well, the E-Pace is an attractive vehicle, especially when finished in the R-Dynamic trim, with the rear being a particular highlight and some F-Type mimicking clear to see. 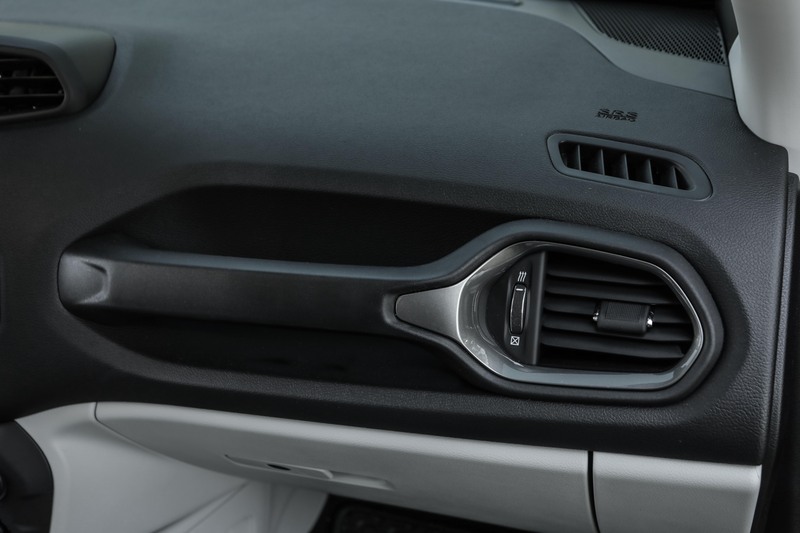 It’s the same inside, too, most noticeably when you look at how the grab handle runs from the side of the transmission tunnel on the passenger side up to the dashboard. On the whole the cabin is a welcoming enough environment, although its design is far from ground breaking. The switchgear is fine, apart from the toggle you engage to hop between driving modes, which feels cheap, frankly. 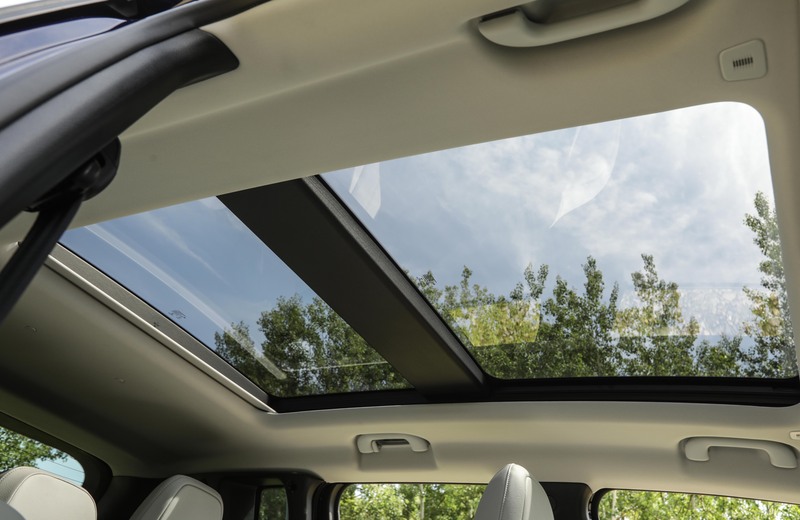 It’s Evoque-like inside: functional style, but with a little added flair. And that’s an important comparison, because the two share more than an interior. While the E-Pace may wear a Gucci tracksuit, it’s based upon the same platform as the Range Rover Evoque and Discovery Sport. 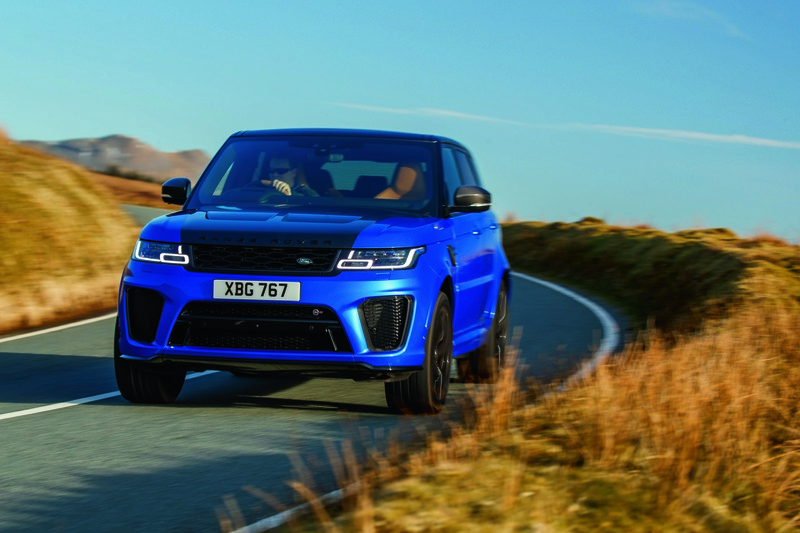 No surprise to see it uses the same nine-speed ZF gearbox through much of its range then, and a list of engines that’re straight from the JLR stable. There’s a front-wheel-drive 150bhp diesel available with a manual ‘box and no R-Dynamic pack for under £30K, but unsurprisingly, we’re not too interested in that. 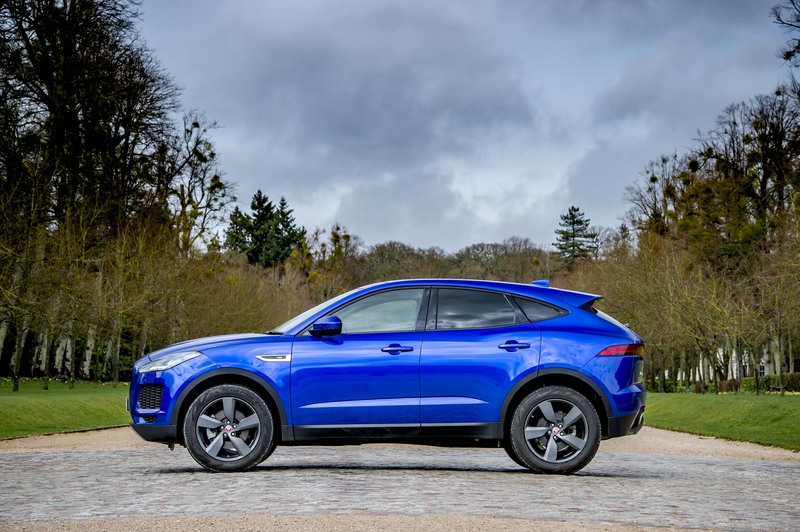 Thankfully, you can also equip an E-Pace with either a 180bhp or 240bhp tune of the 2.0-litre four-pot diesel, or should you want to go for the full Jaguar growl, there’s 250bhp or 300bhp 2.0-litre petrol engines. Does any of this equate to a sports car driving experience? Not really. 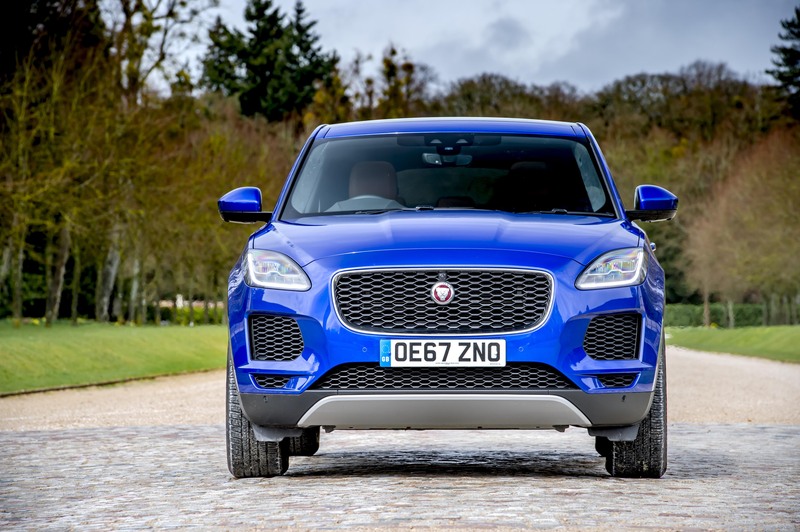 There’s no denying that for a vehicle with a raised ride height carrying four-wheel-drive technology, the E-Pace is a competent performer, with a nimbleness to its handling that makes it feel lighter than it is. However, this isn’t some low-slung sports car that’ll power slide its way to Tesco and back. 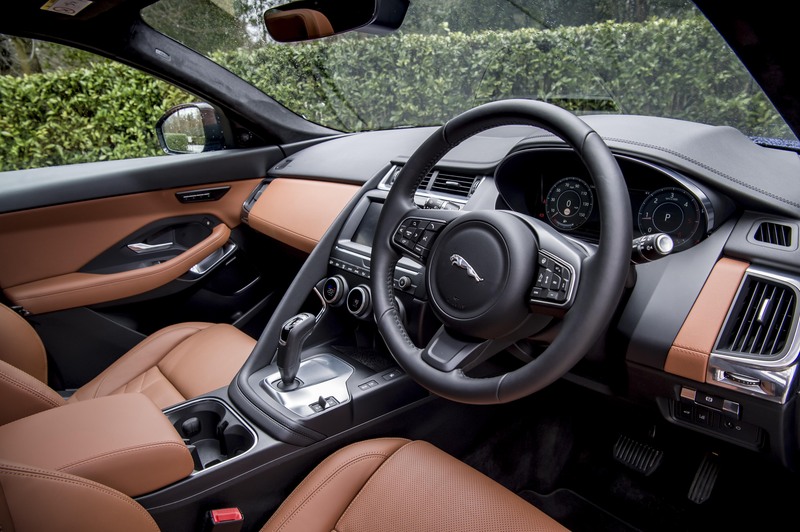 Still, the lack of weight transpiring through the steering wheel is a testament to JLR’s engineers, especially when you consider the E-Pace is actually heavier than the bigger F-Pace (only JLR’s big boys get the expensive aluminium architecture). A quick word on the two petrol variants: they’re both lovely to drive, with lively motors and a real verve in the way they go about their business. 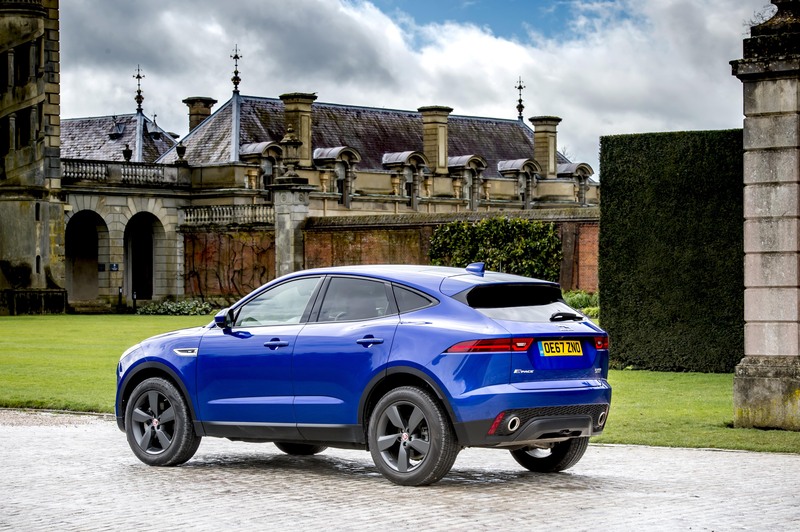 But, I can’t help feel Jaguar has missed a trick by not bringing in a ‘sensible’ petrol option. 250PS is a lot of power in any vehicle, and one can’t help but feel the emergence of a P200 may just be the peach JLR is looking for. Currently, the pick of the bunch has to be the R-Dynamic SE 180bhp diesel in all-wheel-drive and auto spec. Forget the news, modern-day diesels aren’t the work of Satan and the 180bhp diesel provides a solid compromise between performance and economy. The nine-speed ‘box still revs longer than necessary, but in everyday situations you’ll be pleased you took this over the manual. It’s all down to driving style, of course. 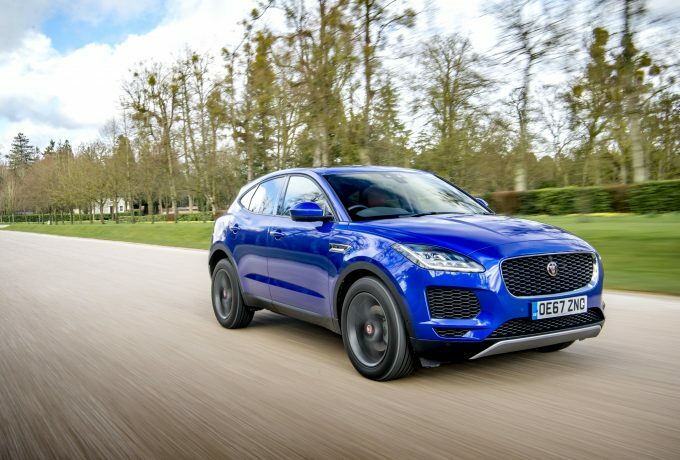 If you insist on having an E-Pace you want to thrash, go petrol. 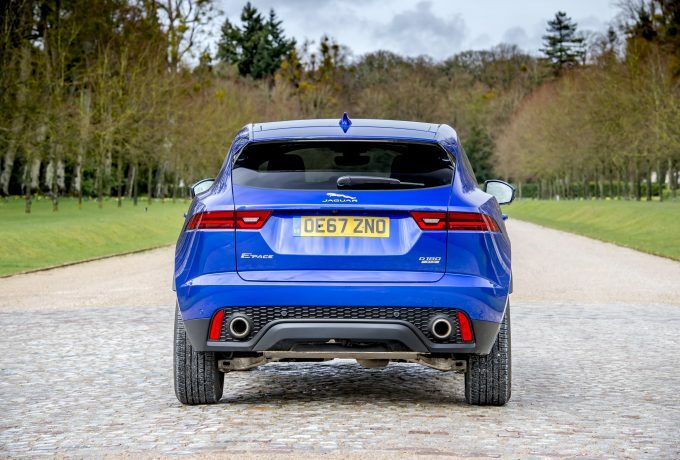 The diesel is much better for cruising, and seeing as you’re likely to buy this vehicle with the view to popping a couple of your kids in the back, it’s better for the school run. 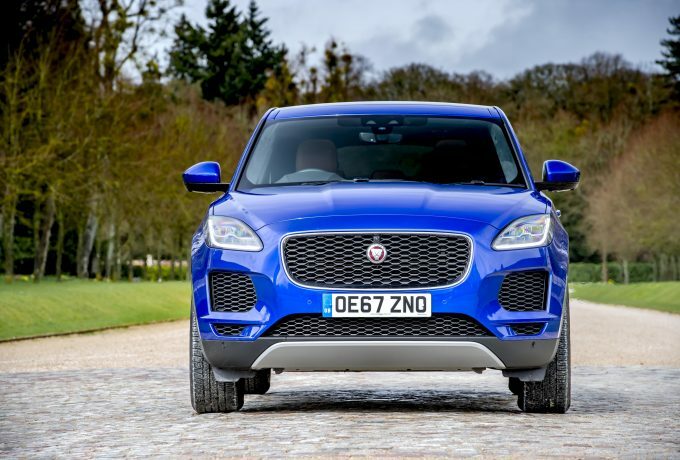 Jag’s new E-Pace offers good driving attributes for a car that isn’t a sports car. It rides well, whatever the driving mode, has ample performance and doesn’t feel bloated as its kerb weight suggests. But importantly, it has more kerb appeal than just about any other SUV out there. 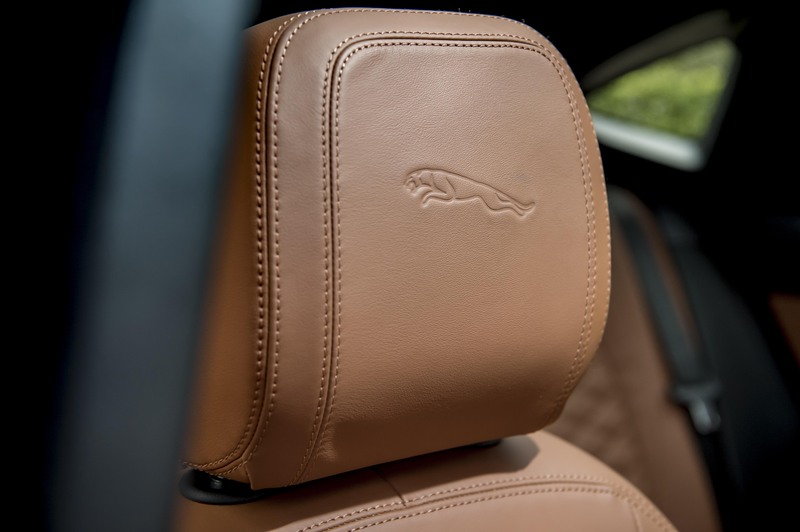 Thankfully for Jaguar, the beauty is more than skin deep. The new XV is the first SUV on Subaru’s Global Platform – which will eventually underpin all the company’s vehicles. 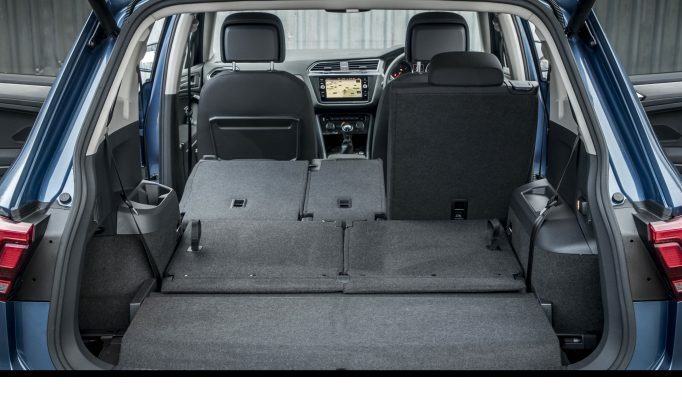 It’s good news for customers, because the XV and Impreza – which is also based on the new platform – take the top two places in EuroNCAP’s league table for child occupant protection. 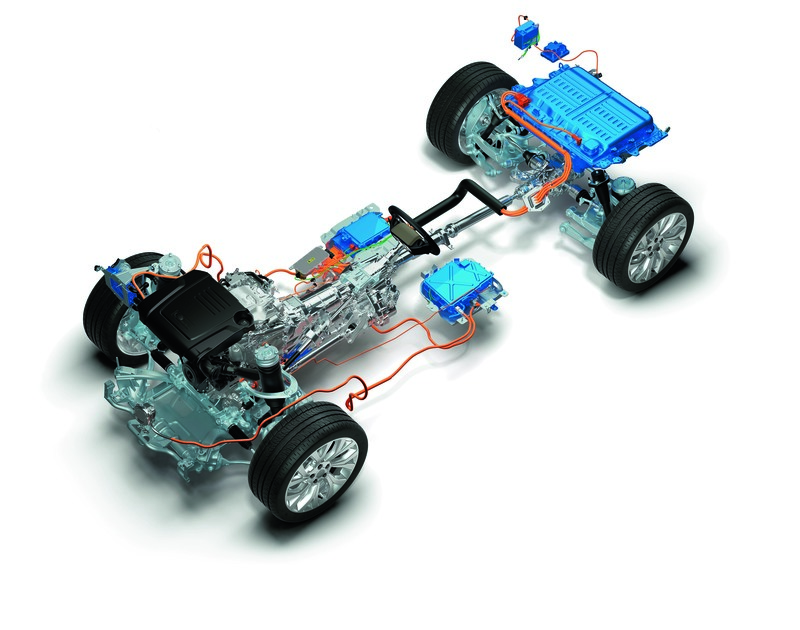 It’s designed to route energy more efficiently through the body of the car in the event of a crash, and the engine is mounted in a cradle which carries it underneath the passenger compartment. But to avoid that eventuality, the XV now features autonomous emergency braking, lane departure warning and rear cross-traffic alert, linked in to Subaru’s EyeSight system which uses a pair of cameras to create a 3D image of the road ahead. 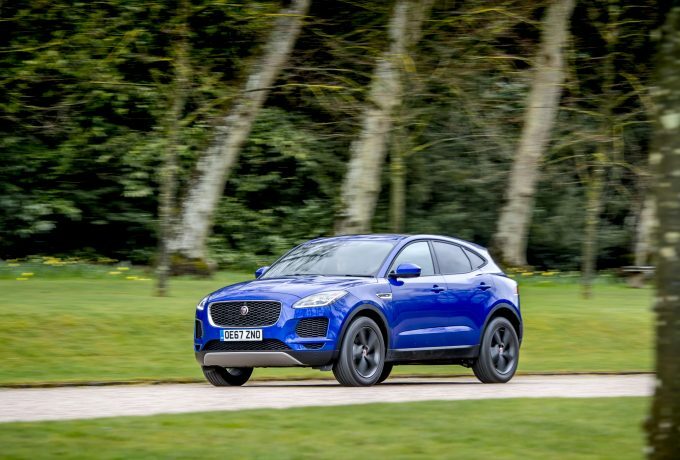 The XV will self-steer to a degree, too, to keep you on the straight and narrow, and if you try to pull away before the car in front, it’ll kill the gas. And it looks after you the rest of the time, too. Inside, the XV’s cabin feels more modern than the old model’s, with a slick design and excellent build quality. The dashboard is dominated by a large screen which does the stuff you want it to but not the stuff you don’t – i.e. the heating and air-con which get traditional buttons. 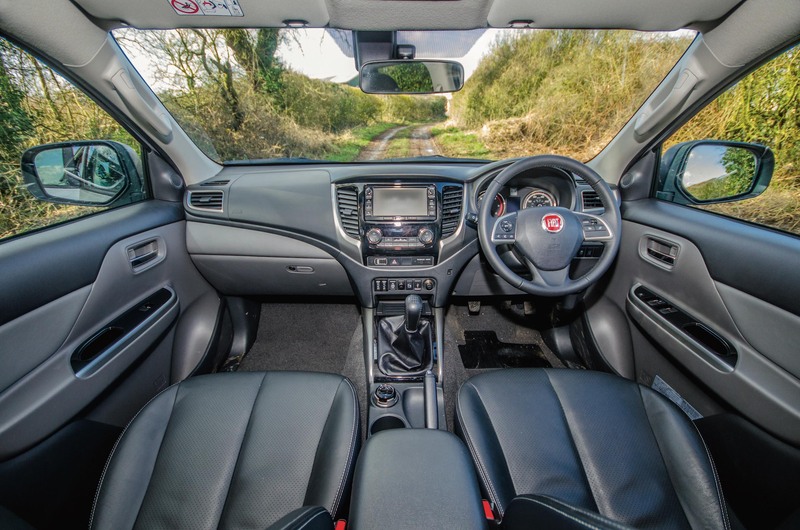 We like the all-round view from the vehicle, too, as well as the space in the front seats. The rears aren’t as good – one six-footer can sit behind another, but not without compromise. 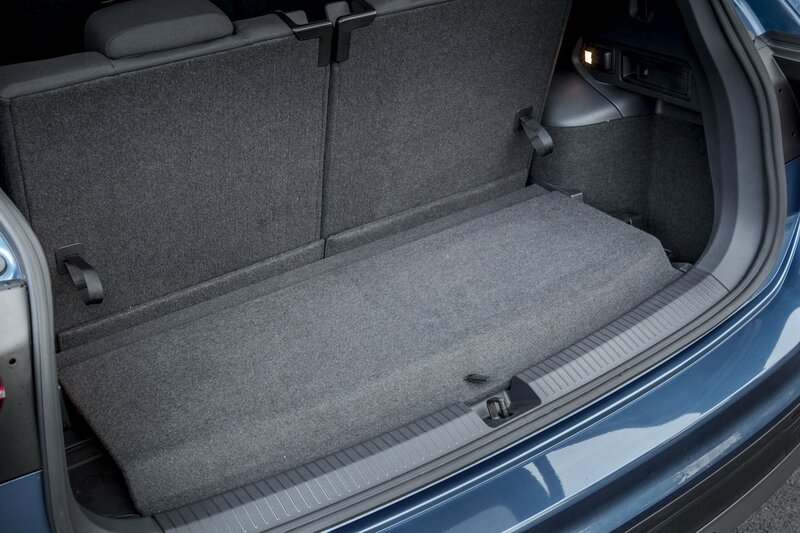 The rear seats drop down to leave a cargo floor with a sizeable step in it and a sloping front section. There’s a high lip at the tailgate aperture, too – because the floor is set low to allow the tallest possible luggage space. 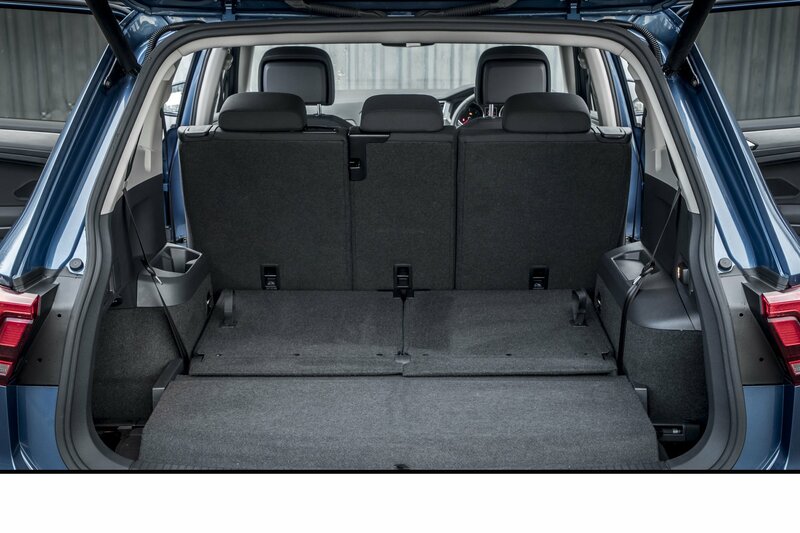 The XV’s seating position is quite sporty, as is the vehicle’s willingness to be driven with verve. 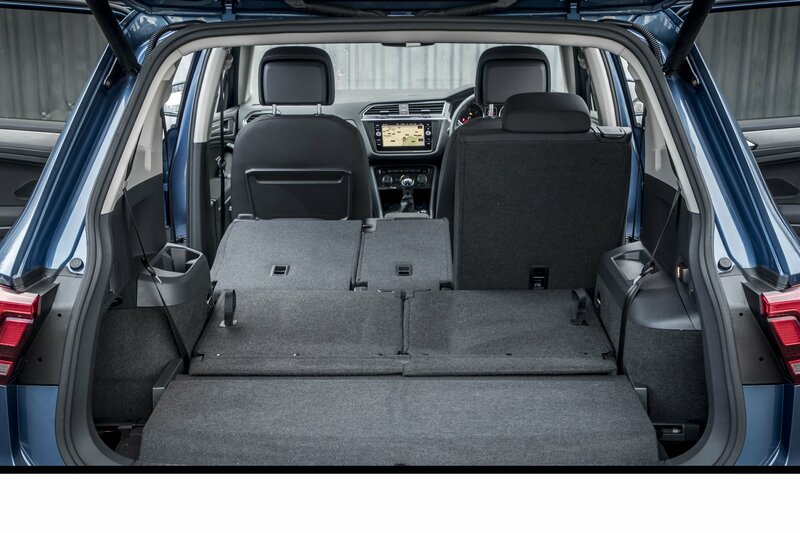 The new platform is stiffer, with a low centre of gravity as well as a side-to-side balance of weight which flatters Subaru’s all-wheel drive system, letting the vehicle grip more tenaciously while steering and handling with greater feel and sharpness. It feels alert, and it also covers the ground very smoothly, with real composure. You might not be surprised by any of that, but you’re unlikely to be expecting the XV to slay any giants off-road. 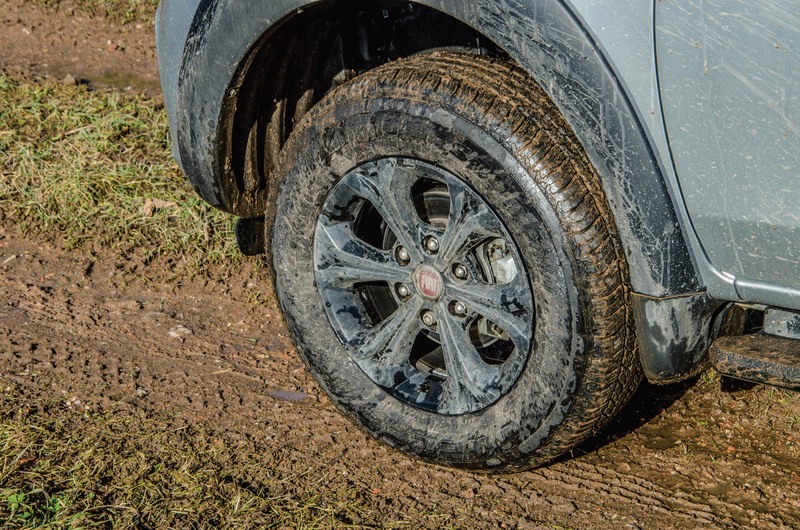 Incredibly, though, we took on some mud on the luanch – the kind you really wouldn’t fancy having a go at on the wrong tyres. They wouldn’t have done this, of course, if they hadn’t tested it first. But this was on standard 18” tyres with the regulation amount of air in them. There was wheelspin, and a certain amount of sideways action as the vehicles found themselves a way through, but the fact is that we didn’t once see one getting into difficulties. 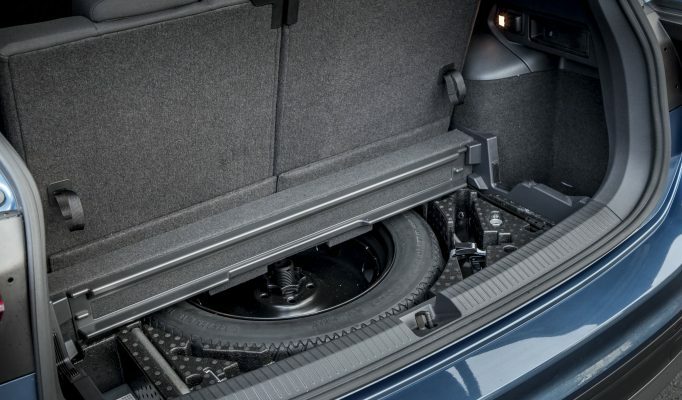 There’s no low box and the short stroke of the suspension means that although ground clearance is good, lifting wheels will always be an issue. But a standard CVT gearbox to some extent overcomes the absence of low range and, with Subaru’s X-Mode system now fitted, the XV’s traction control kicks in at lower speeds to prevent wheelspin. There’s also a very effective hill descent control system whose set speed can be fine-tuned by dabbing the pedals, allowing you to tackle surprisingly rough terrain with much more control and finesse than a crossover estate normally allows. 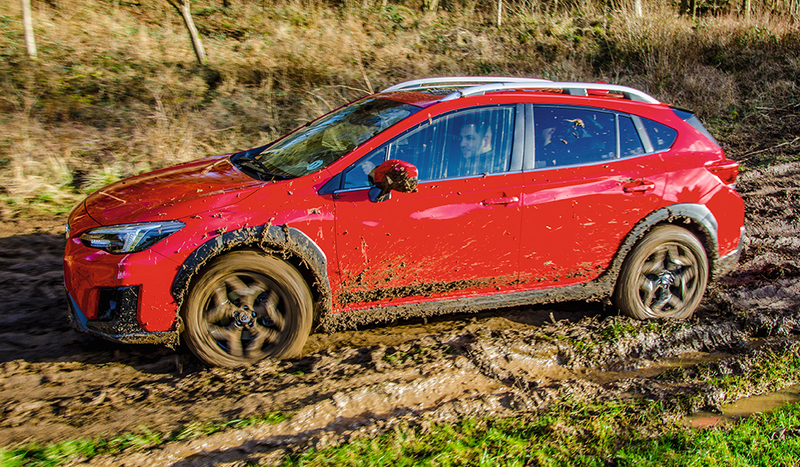 Overall, there’s more off-road ability here than we believed possible in a car of this nature – Subaru is a past master at making estates perform in the mud, but the company has excelled itself here. That’s the icing on top for a vehicle which makes a very good first impression indeed. 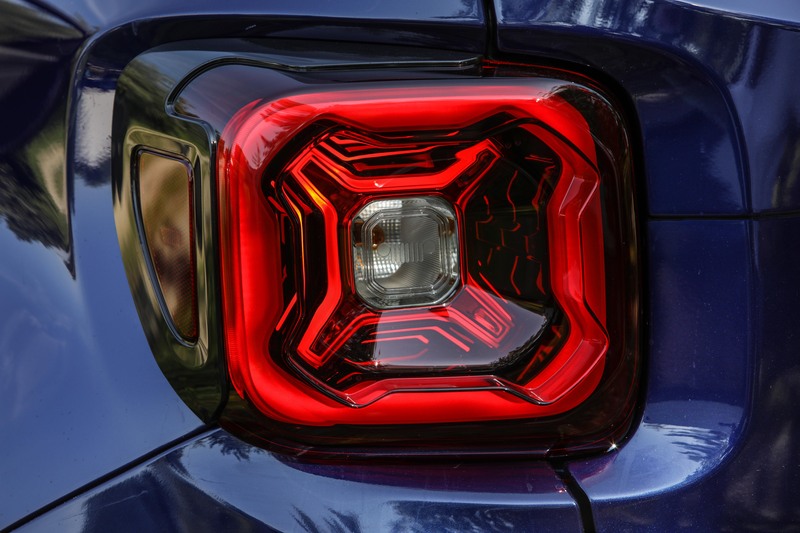 And it’s a good first impression in more ways than one – because with the XV’s new platform set to go under the next Forester and Outback, Subaru has some very good times ahead. 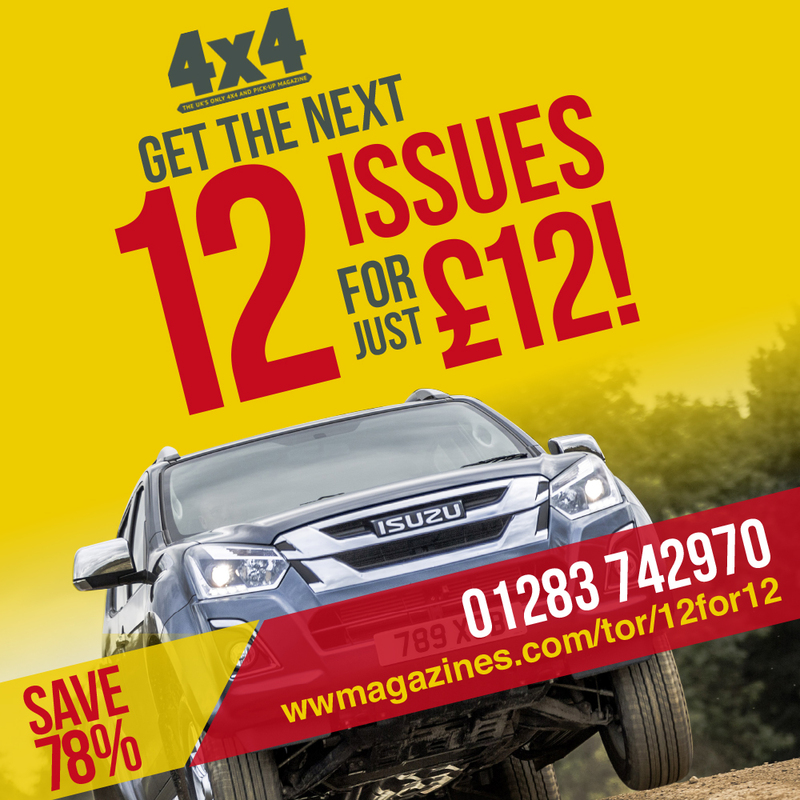 Read the full review in the next issue of 4×4, out 9th February. 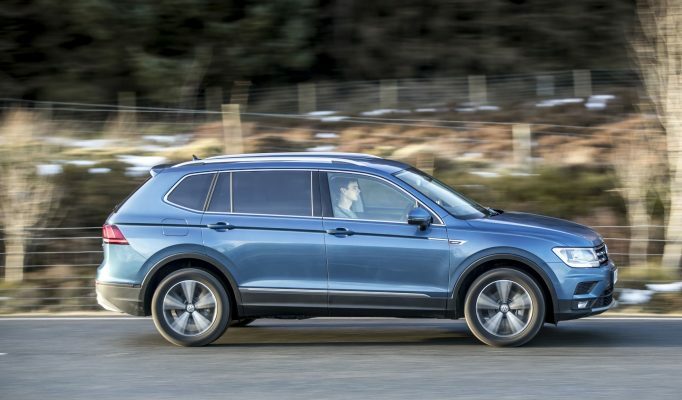 Following last year’s success for the Skoda Kodiaq, VW has decided to add a new seven-seater to their own line-up – Tiguan Allspace. Essentially, this is a Tiguan with added flexibility. 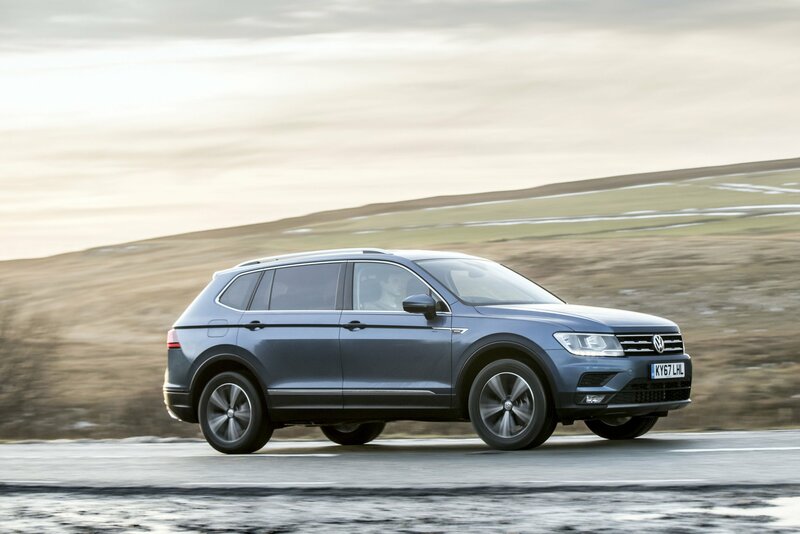 It’s 215mm longer than the regular Tiguan and the wheelbase has been stretched by 109mm. 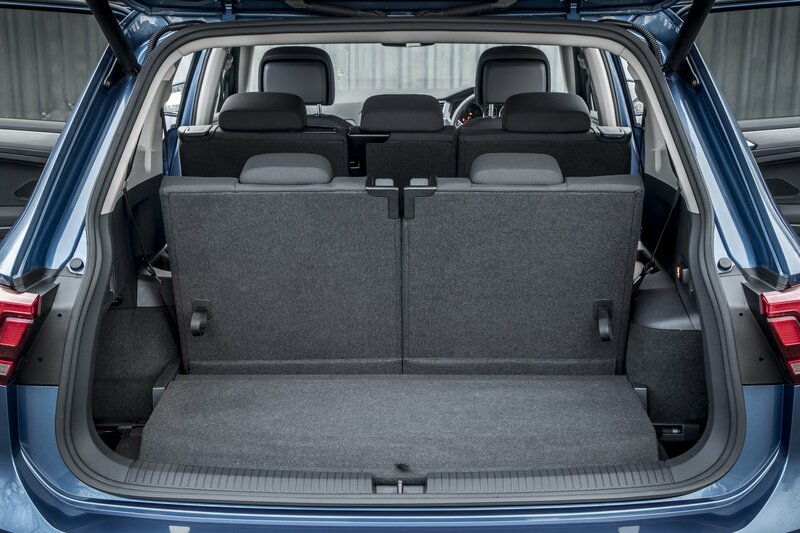 With your elongated Tiguan you get the privilege of ‘occasional seating’, which thankfully doesn’t mean you can only use them for birthdays and weddings. 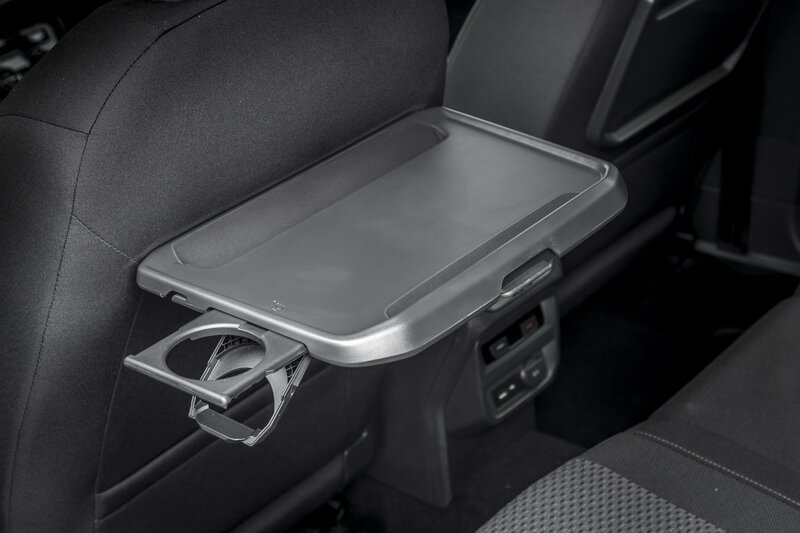 What it does mean is that VW hasn’t tried to make out they’ve harnessed technology from the Tardis and applied it to the Allspace’s back row of seats. Instead, they freely admit these two pews are for the petite individual who is likely to be more interested in discussing with you the delights of Peppa Pig rather than available legroom. There are a few other subtle differences between the Allspace and regular Tiguan, too. 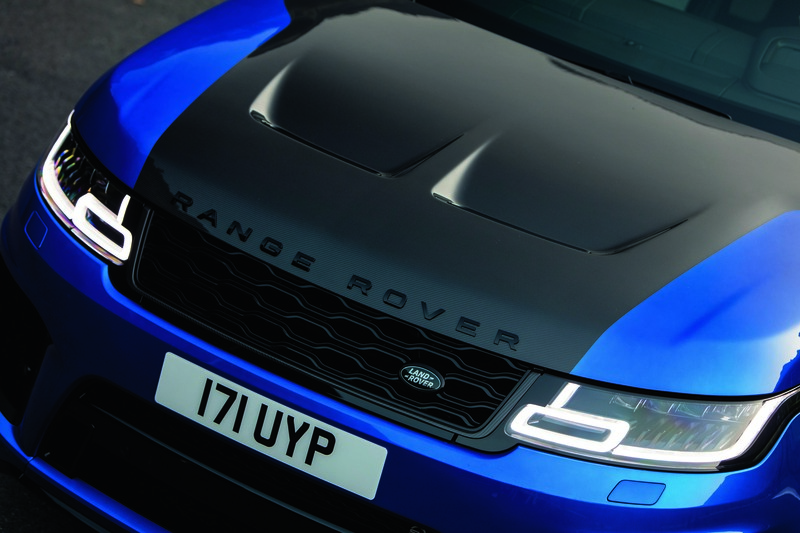 At the front, a taller grille and revised bonnet visually helps with raising the front in order to counter the extra bulk at the rear. The rear doors are longer and the shoulder line has been reworked, while off-road versions get amended bumpers and underbody protection. 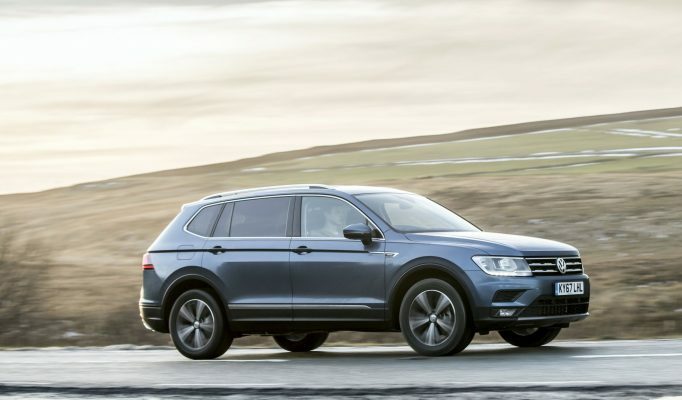 Even with the Tiguan’s growth spurt, it’s not an oversized vehicle and remains attractive. The model we recently got our hands on was an SE Nav 2.0-litre TDI 4Motion 147bhp variant. Bit of a mouthful, but before we break it down for you, it’s worth knowing that this is the example VW estimates will be its top seller. The ‘SE Nav’ denotes the starting point as you head up through the Allspace spectrum, past SEL and onto the R-Line derivatives. There’s a focus on providing high spec’d vehicles here, so all versions are generously equipped from the off. 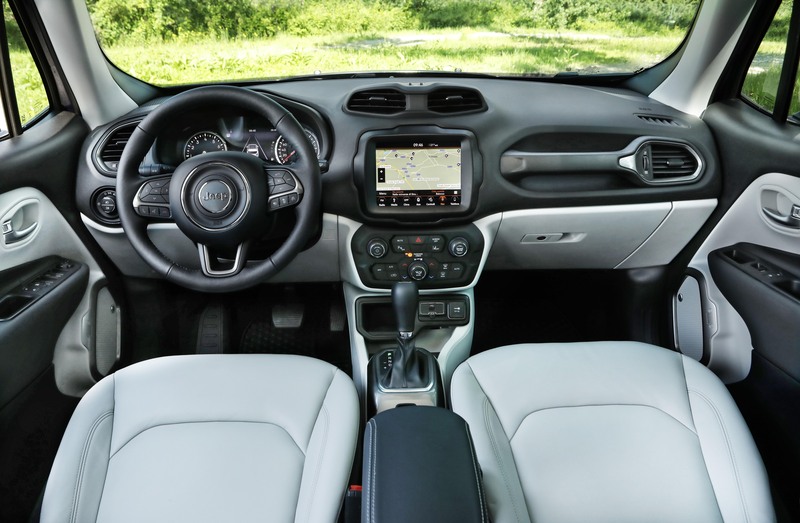 This base SE Nav, for instance, has the 8” colour touchscreen and Discover Navigation system. 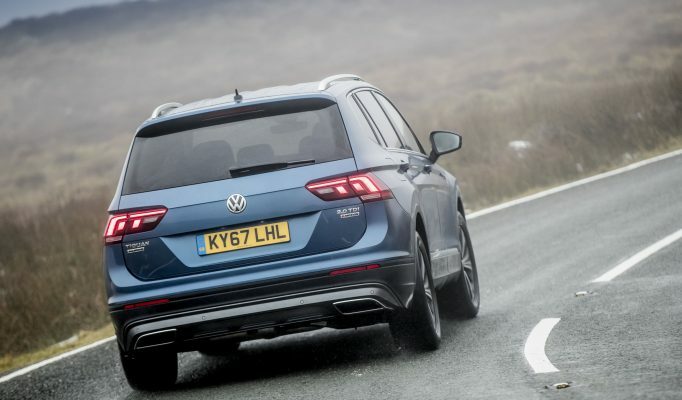 VW estimates suggest that 95% of Allspace sales will be diesel, emphasising that TDI still pips TSI in this category – for now. 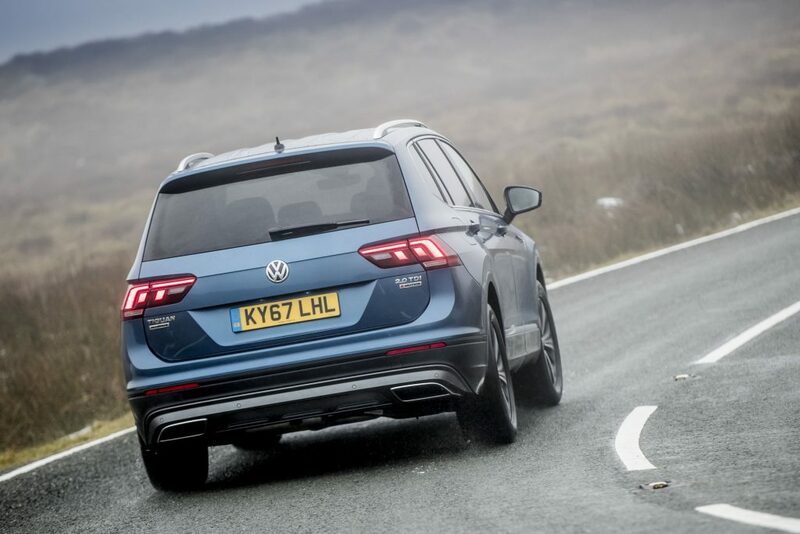 You can get the 2.0 TDI unit in more powerful guises, and while initially sceptical about the 147bhp being able to haul the Allspace and seven people around, it will satisfy you completely, with a surprising amount of shove to serve up when prompted. Regarding the petrol units, the 1.4 TSI is only available in 2WD, leaving the thirstier 2.0 TSI. It may have 177bhp, but the TDIs can talk the torque. 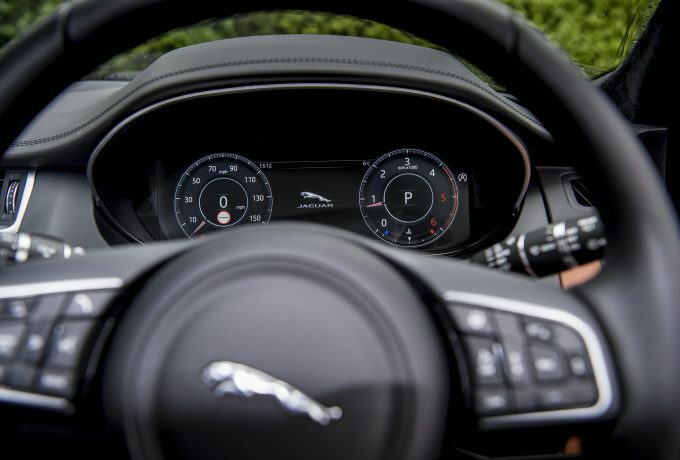 There’s a mix of manual and autos on offer, but it’s the latter we’d advise you towards. Family life can tire you out, so why not let the car do the work for you? That is the idea after all. 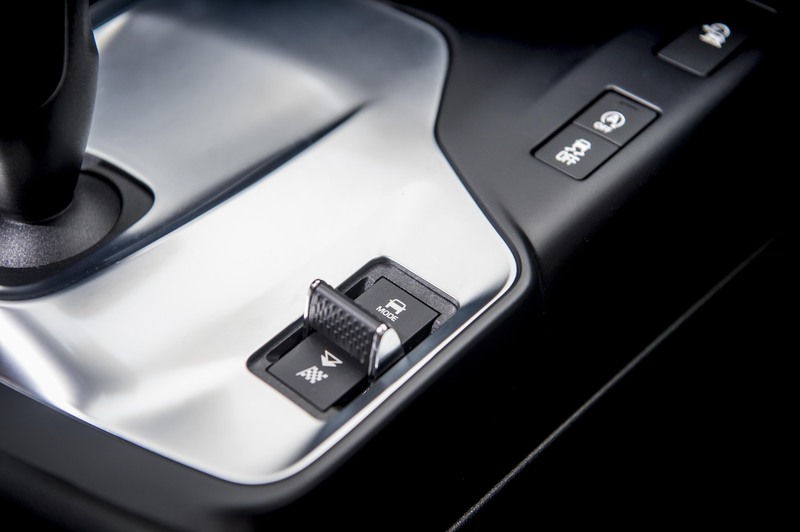 Plus you get paddles and a manual shift setting should you wish to take control and with the DSG ‘boxes being the best in the business, their slickness is difficult to play down. 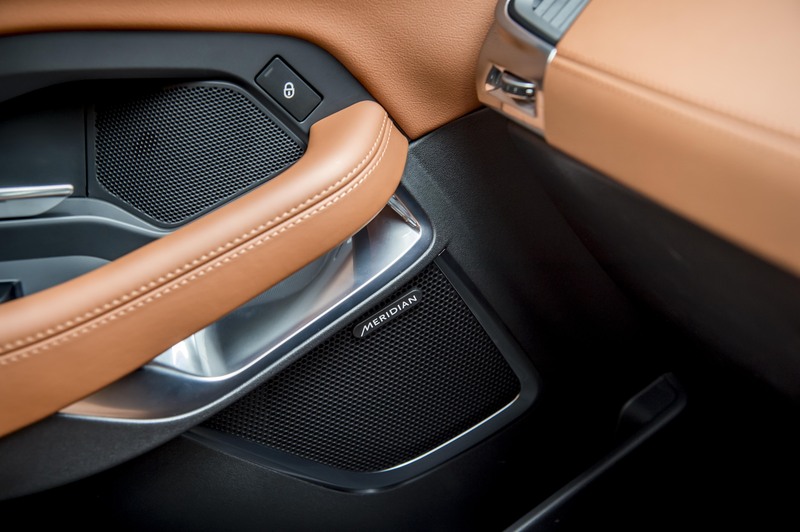 Inside, it can look a little conservative – but as usual with Volkswagen, it’s all in the detail. The soft-touch plastics give an assuring feel of quality, while the cloth seats look up for a battle with the kids in the war of cleanliness. Controls are positioned well and easy to navigate. And what of this ‘occasional seating’? A tether either side of the middle row flips them down and the occasional two are simple to put up or down. 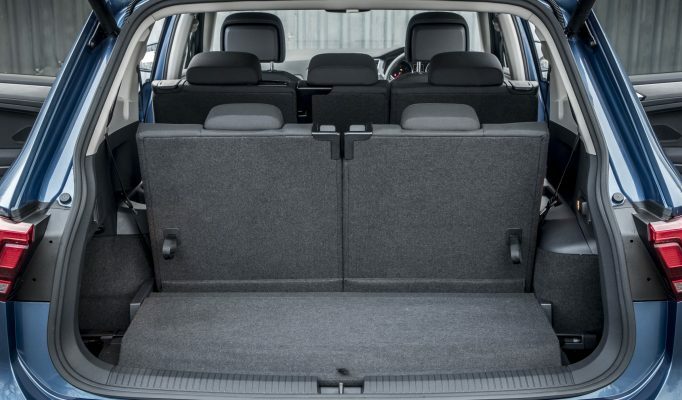 You can have a very spacious five-seat Tiguan or a seven-seater that will cope with the capability of swallowing a decent shopping trip. 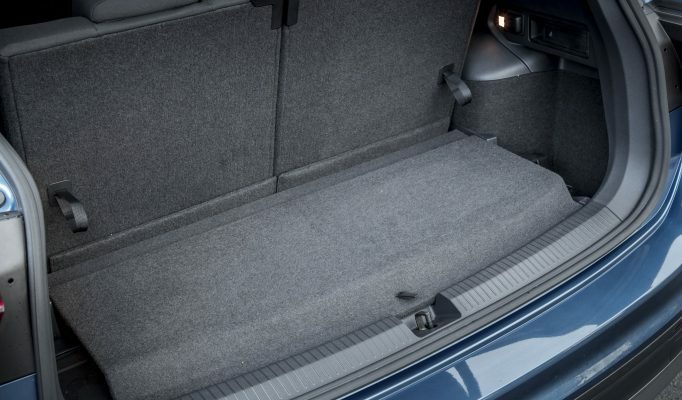 Bigger boot, more seats, and more eventualities covered – what’s not to like. VW has quietly gone on and added that extra flexibility without harming the goodness already established in the Tiguan. Prices start at £29,370, with the one that impressed us costing £34,905. 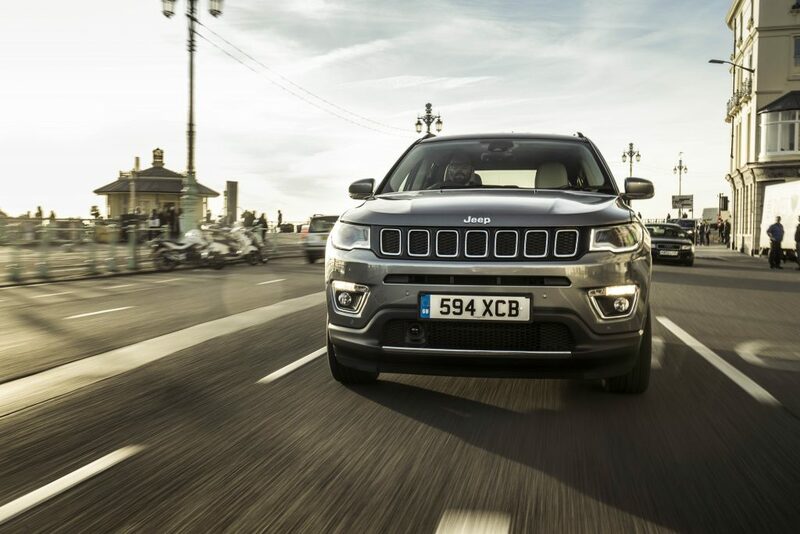 We drove the new Jeep Compass on its European launch in the summer. But now we’ve tried it out where it matters – here in Blighty. Again, we had a spin in the 2.0 Multijet II diesel, but this time we also tried out the 1.4 MultiAir II turbocharged petrol equivalent. 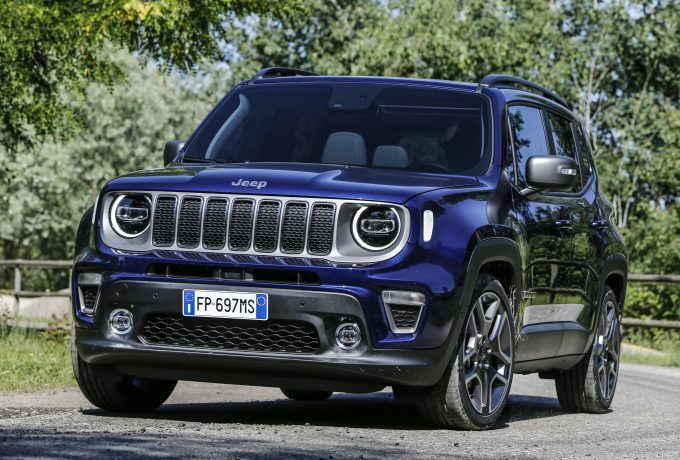 In versions of the Compass with four-wheel drive, both produce the same figure of 170bhp when mated to Jeep’s nine-speed auto box (there’s also a 140bhp version of the 2.0-litre unit with a manual box, but that’s for another day). So our test was really about the two engines. At cruising speeds, there’s nothing to choose between them. 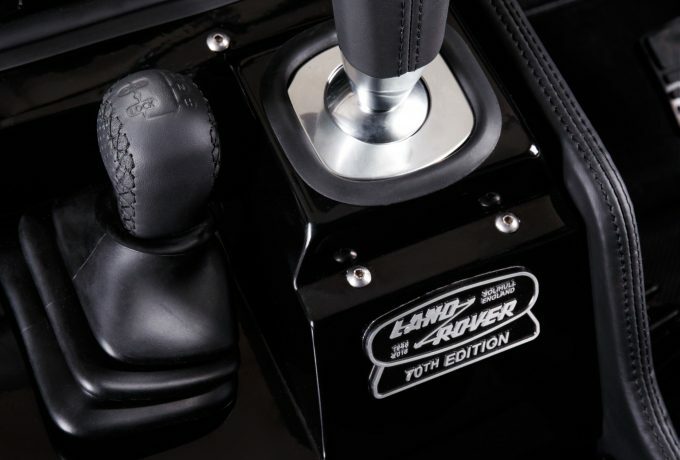 The gearbox transitions are smooth and both are similarly quiet and comfortable. 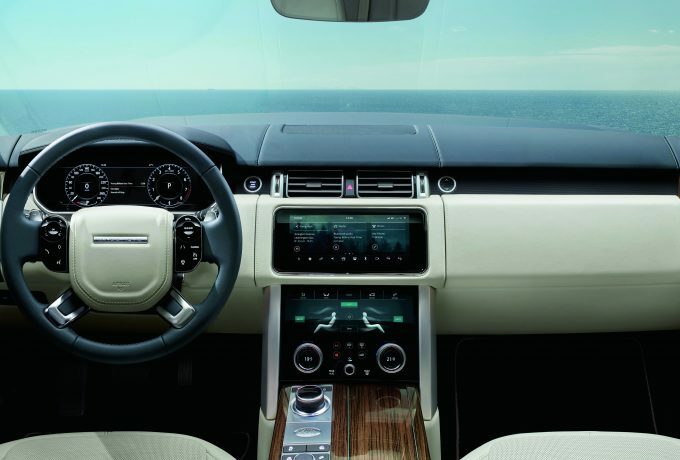 Inside, the cabin is cleanly laid out and the touch-screen infotainment system is simple to navigate. The vehicles driven here were both in range-topping Limited spec, which means seats trimmed in full leather and, at the front, both heated and vented. Again, the leather-wrapped steering wheel feels good and solid and the cruise control regulators are straightforward to operate. 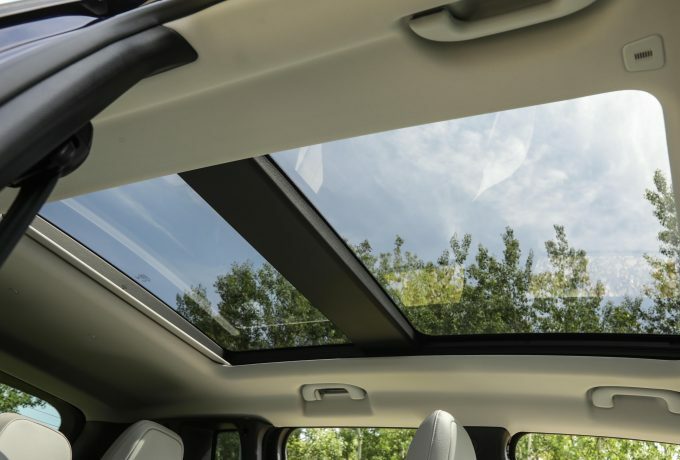 For taller drivers who require the seat further back, however, the restricted headroom that comes as a side product of the panoramic sunroof isn’t ideal. We found the Compass’ ride to be notably informative over something as slight as cats’ eyes, and on uneven streets and B-roads this was amplified. 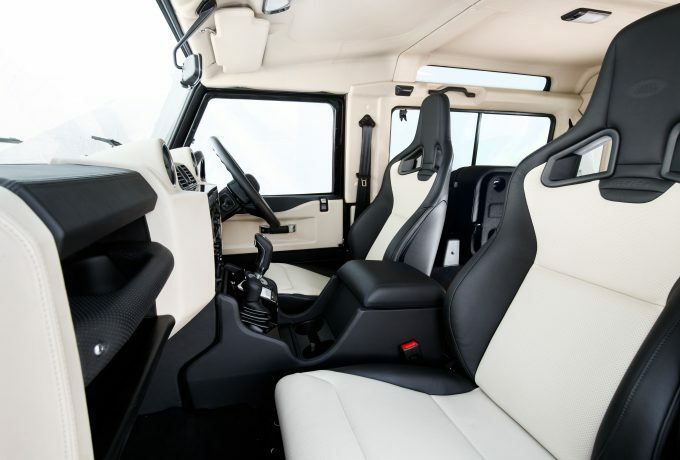 It wasn’t uncomfortable by any means, but for something with off-road credentials in the wheelhouse we hoped for a smoother deal on everyday surfaces. Talking of off-road credentials, we didn’t get to test these as the route set out for us to follow on the launch stuck exclusively to tarmac. 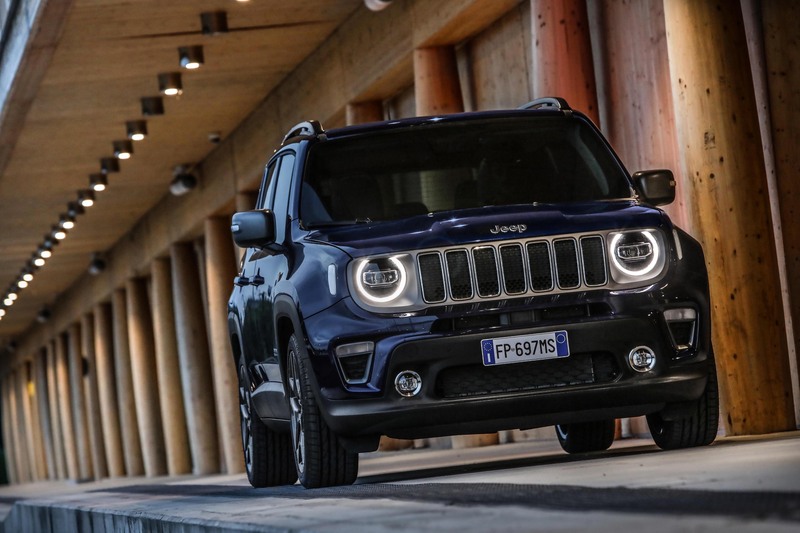 There is, however, a Trailhawk version of the Compass coming during 2018 – and if you like the look of the vehicle as your next off-road giant-slayer, it will certainly be the one to wait for. Back in the here and now, the biggest difference between the engines in driving terms is how they work with the automatic gearbox. Both may produce the same power, but the diesel has 258lbf.ft from 1750rpm while the petrol only gives you 184lbf.ft at 2500rpm – and the difference is very apparent. The petrol engine doesn’t cover the auto box in a lot of glory. Unless it’s bullied, we found it sluggish when pulling away – bridging the gap between dangling yourself in front of traffic at roundabouts and steaming across them can be a frustrating task. A window of opportunity in between these extremes does exist – it’s just smaller than you might expect. There are similar delays in power delivery when building up speed – and if you over-compensate, your wrists are slapped with torque steer. Downshifts on a decline caught it out a few times, too – we found it shifting down a gear too many and over-revving loudly as a result. The diesel is a lot better behaved. The sooner the torque comes in, the happier the gearbox is. It doesn’t feel as if there are too many gear ratios in the mix, it copes better with downshifts and it’s less anxious and more refined in city centre traffic. 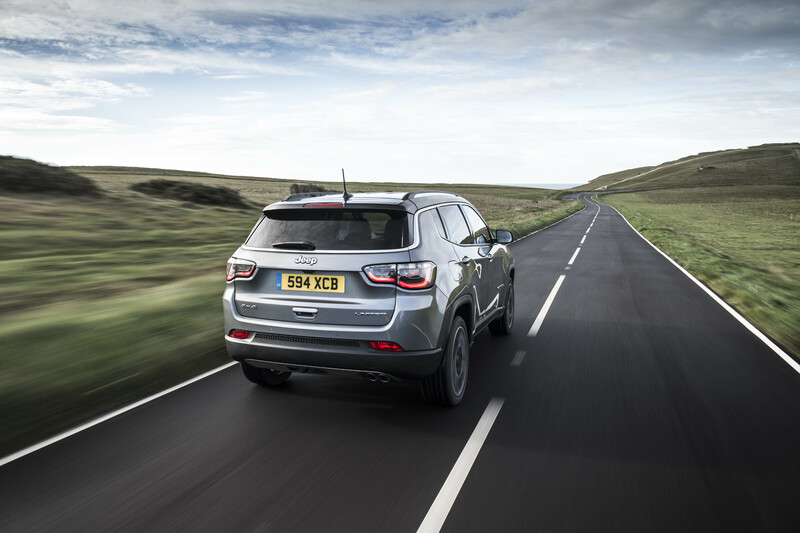 In every other way, the Compass is comfortable in urban environments, with light steering making it easy and untaxing to manoeuvre around town. Its contemporary styling makes it look like it belongs, too – which, trivial though it may sound, is no small concern on the school run. Visibility is less than fantastic, however. There are blind spot indicators to help you out, but the C-pillars do dominate the view over your shoulder. On the whole, though, the Compass is a solid entrant for Jeep into the medium SUV market. 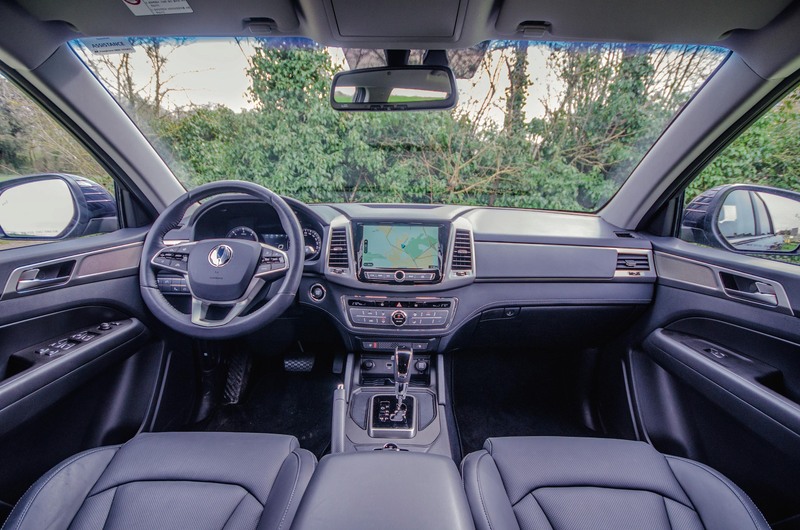 We’d certainly choose the 2.0-litre diesel, however, whose extra torque works far better with the auto gearbox, making it much nicer to live with, and in Limited trim the cabin is a really nice, plush place to sit. It is, however, on the expensive side. 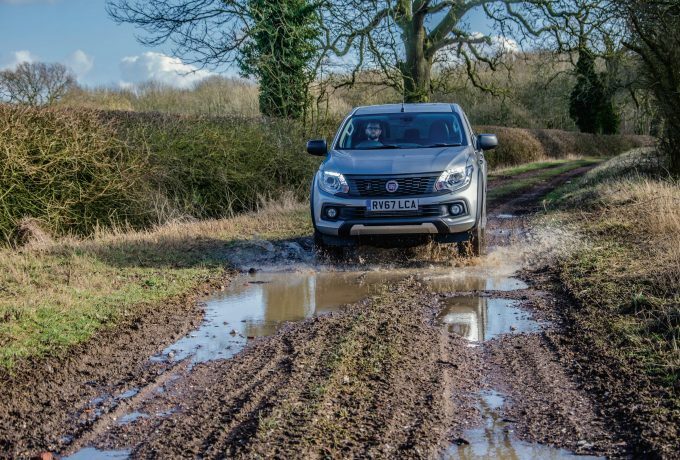 The 2.0 MultiJet II auto 4×4 lists at £34,295, and the vehicle we drove on the launch had options on it which would have taken that to £39,645. 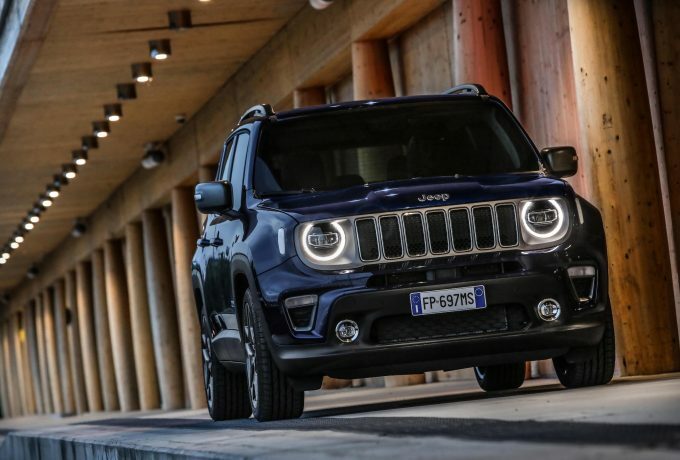 How that will look alongside the best of the Compass’ many excellent competitors in the medium SUV market is open to question – though taken on its own merits, this new Jeep certainly does have a lot to recommend it.